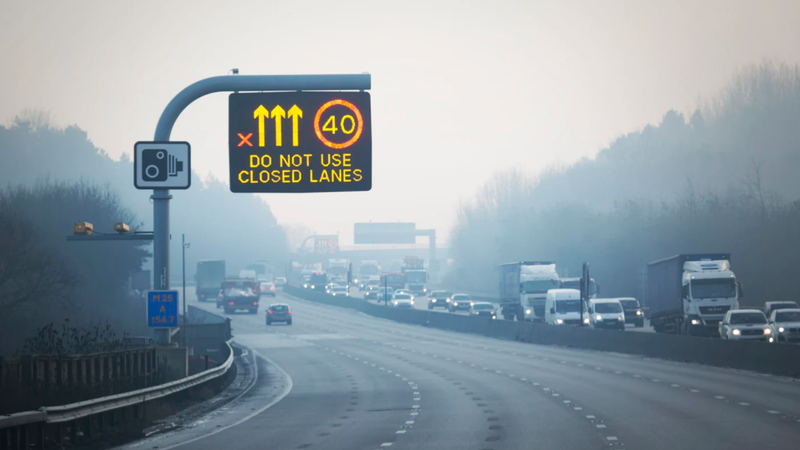 New RAC statistics show that 25 percent of members have driven under red ‘X’ signs on smart motorways – and the figures for the rest of us could be even worse. This comes from a survey of 2,093 members of the RAC Opinion Panel. If you didn’t know, that red ‘X’ is there to tell you that the lane is closed due to an obstruction in the road. Yes, that could be a dead car, lorry, a person, or anything, really. You should not drive in the lane. Fortunately, one in four of us aren’t heinous criminals with a disregard for our own or the lives of others. As many as 19 percent of the 25 percent figure is made up of those who have done so accidentally on a rare occasion. Just one percent of people do it by accident regularly and three percent of us are those dissenting rebels that disregard the motorway signage deliberately, albeit only on occasion. Ignorance is no excuse either, given that 99 percent of those who said they have driven through it, know exactly what it means. Worryingly, as many as 48 percent of respondents said that they regularly see people driving in closed-off lanes. Though from the point of view of the observer, you can’t tell whether it’s unawareness or blatant disregard. As many as 36 percent of people said they see it occasionally, while just seven percent say they do not see drivers disregarding the red ‘X’. 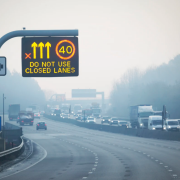 “Red X signs, which denote when lanes are closed, are paramount in safety terms as any stricken driver who has not managed to reach an SOS area is at tremendous risk of being involved in a collision with vehicles that ignore them,” said RAC spokesperson Simon Williams. “It is also extremely dangerous if road workers or emergency service staff are attending to [an] incident in the road. Highway Code rule 258 is explicit: ‘if red lights on the overhead signals flash above your lane and a red X is showing, you must not go beyond the signal in that lane’. Range anxiety – the fear of not making it to your destination without recharging – is a big concern for those buying an electric vehicle (EV). We’ve done the research and ranked 20 battery EVs currently on sale in order of range when fully charged. It’s important to note that we are listing purely battery-powered vehicles here, so plug-in hybrids are not included. The range figures are from New European Driving Cycle (NEDC) tests. A new ‘WLTP’ test-cycle is well on the way to phasing out NEDC results, and thus some of the newest cars on this list have estimated range results. Prices quoted include government EV grants where relevant. Is it a car? Well, technically the Renault Twizy is classed as a quadricycle, meaning it has to conform to limits on weight and power. Fitted with a 13kW (17hp) motor driving the rear wheels, the Twizy is capable of just 50mph. But being designed for city use suits it just fine, as does an NEDC range of 62 miles. Prices are also low, starting at £6,690, plus compulsory battery rental. Essentially a rebadged version of the Mitsubishi i-MiEV – a car no longer sold in the UK – the C-Zero ups the power stakes to 49kW (67hp). The rear-mounted motor drives the back wheels, and is claimed to be capable of pushing the C-Zero to an 80mph top speed. Driving like that won’t help the 93-mile range, though. It costs from £16,020. Identical to the C-Zero in looks and powertrain, the Peugeot iOn also matches its 93-mile NEDC range. Similarly, it takes nine hours to charge from a domestic plug socket, but can be topped up to 50% capacity in just 15 minutes when connected to a rapid charger. The iOn costs £15,995 – big money for a car that has made only a small impact on the UK electric car market. Although Volkswagen is now fully embracing EVs, until very recently it chose to base electric cars on existing models. Out goes the regular petrol engine from the Up, and in comes a 60kW (82hp) electric motor powering the front wheels. Rapid charging will fill the 18.7kWh battery in just 30 minutes, and the e-Up enjoys a range of standard kit including parking sensors, cruise control and DAB radio. But, with a price of £21,140, this is a very expensive city car. We’ve had the pleasure of little Smart cars on our roads for 20 years now. It seems like a car that should always have been electric-powered. As it happens, electric Smarts are available now, in three flavours no less: four-door ForFour, ForTwo Coupe and ForTwo Cabriolet. With less than 100 miles range, they’re not exactly long-distance haulers, but they’re certainly capable city cars. 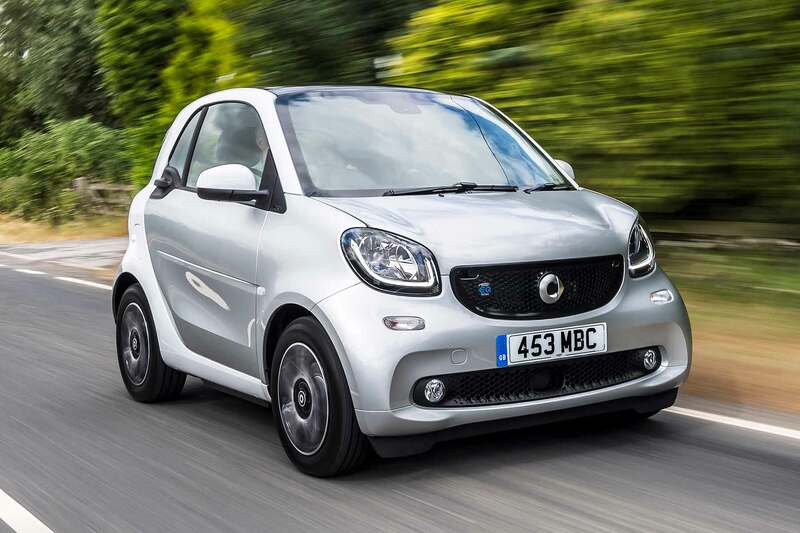 Pricey, though, with the ForTwo coupe kicking off the range from £20,920. It might look like a Golf but, as with the e-Up, this is anything but a normal VW underneath. 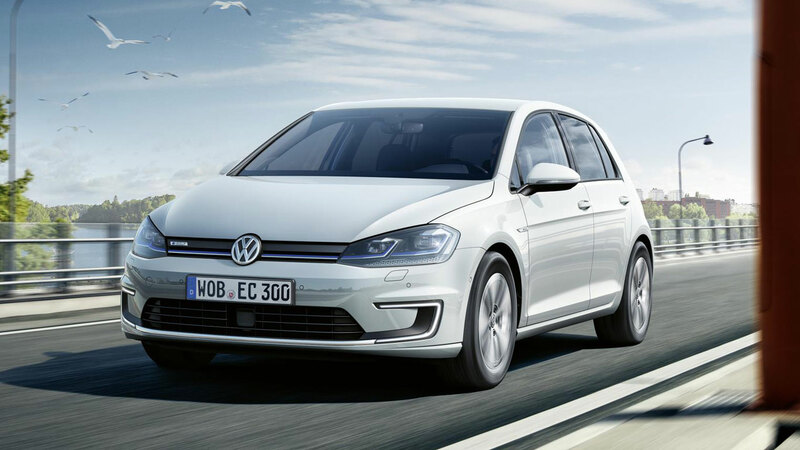 There’s a 100kW (136hp) electric motor driving the front wheels, which makes the e-Golf capable of 0-62mph in mild-to-warm 9.6 seconds. 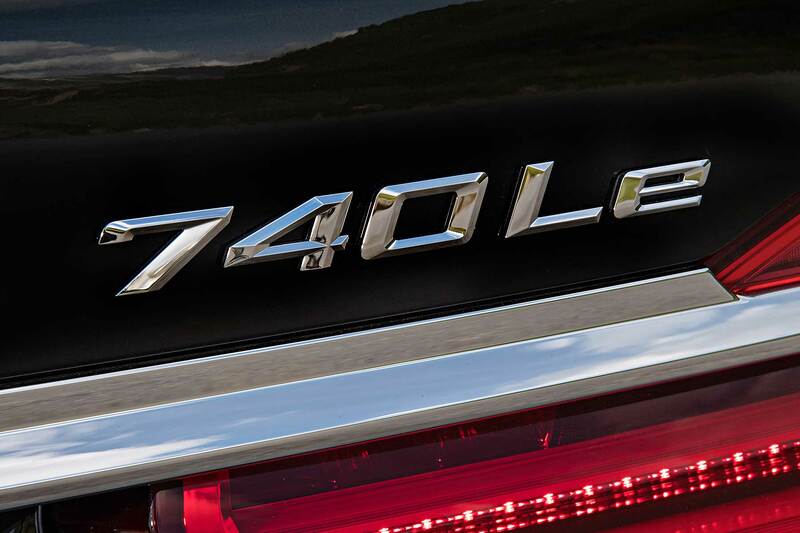 The 214lb ft of torque also helps acceleration feel brisk, even if top speed is only 93mph. An NEDC range of 144 miles is just about reasonable, but the price is steep. 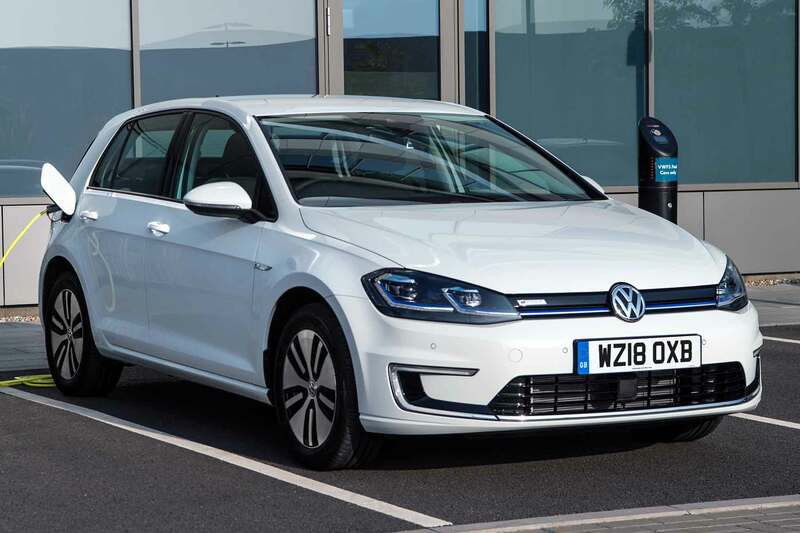 The e-Golf starts from £32,730. 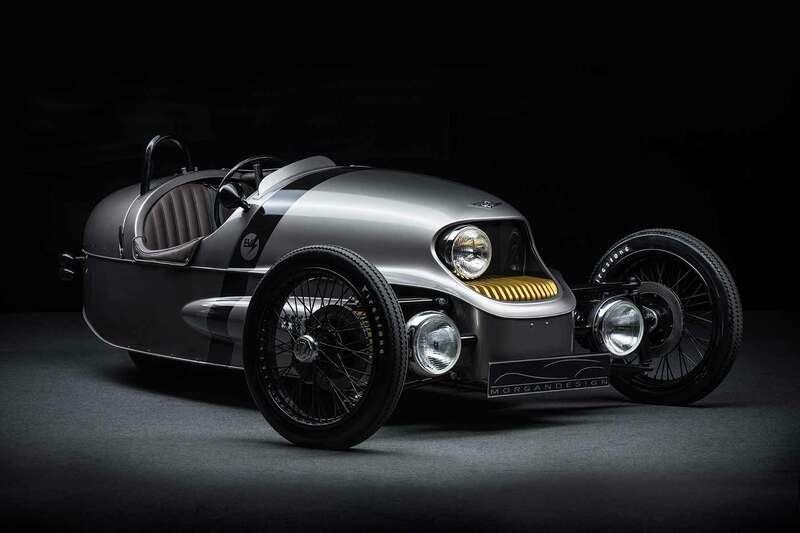 We’re still waiting on a finalised production version of this battery-powered Morgan 3 Wheeler, but it’s too cool not to include. Morgan claims the EV3 will have a range of 150 miles, along with the ability to hit 62mph in nine seconds and a top speed of 90mph. With a planned weight of less than 500kg, and packing a 20kWh battery, those figures are fully believable. The Soul is a fairly unique looking vehicle to begin with, so Kia making it electric probably shouldn’t seem surprising. More startling is the price tag of £25,995. That represents a jump of more than £2,000 from the most expensive petrol-engined Soul, and makes this a direct competitor to premium rivals like the e-Golf. Notably, the EV still comes with a seven-year/100,000-mile warranty like any other Kia model, which is a big deal in the EV world. Ignore the fact it looks like a van, and that it even comes in van form. 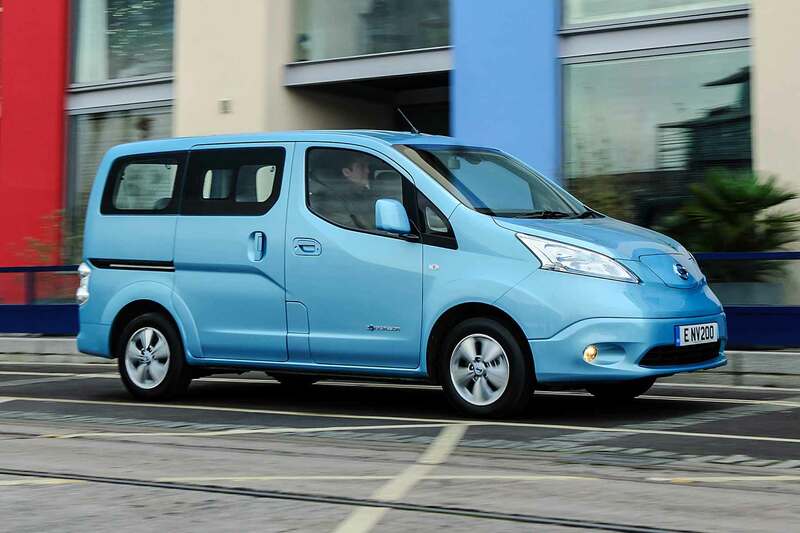 Nissan wants you to think of the e-NV200 Combi as an electric-powered people carrier. An ‘EVMPV’, if you will. With sliding rear doors, and seating for up to seven, it’s certainly one of the more practical ways to experience battery propulsion. The 0-62mph dash takes 14 seconds and top speed is just 76mph, but we doubt this is high on the list of priorities for any buyer – unlike the £30,480 list price. The Ioniq isn’t just one model. No, Hyundai has taken the path of building three versions of the same car: hybrid, plug-in hybrid, and battery EV. 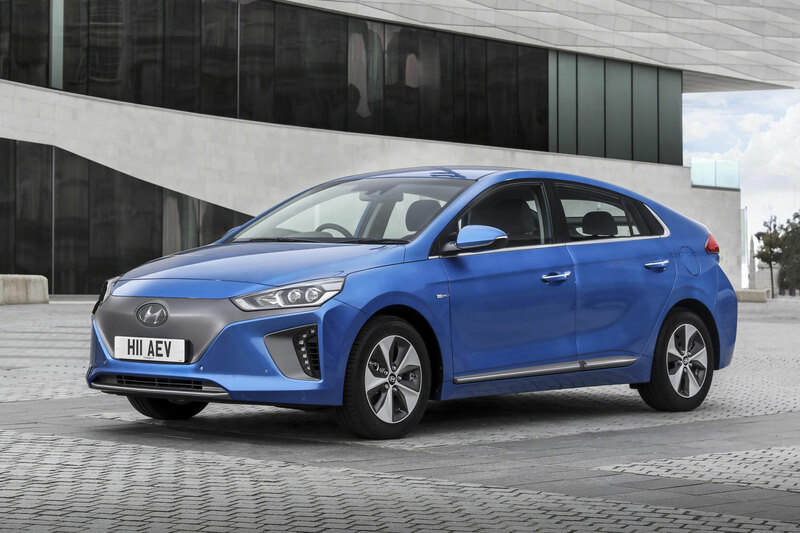 With an 88kW (120hp) motor, the Ioniq is one of the few lower-end models with a top speed exceeding 100mph – admittedly by just 3mph. It also features a Sport Mode, which drops the 0-62mph time to 9.9 seconds when engaged. 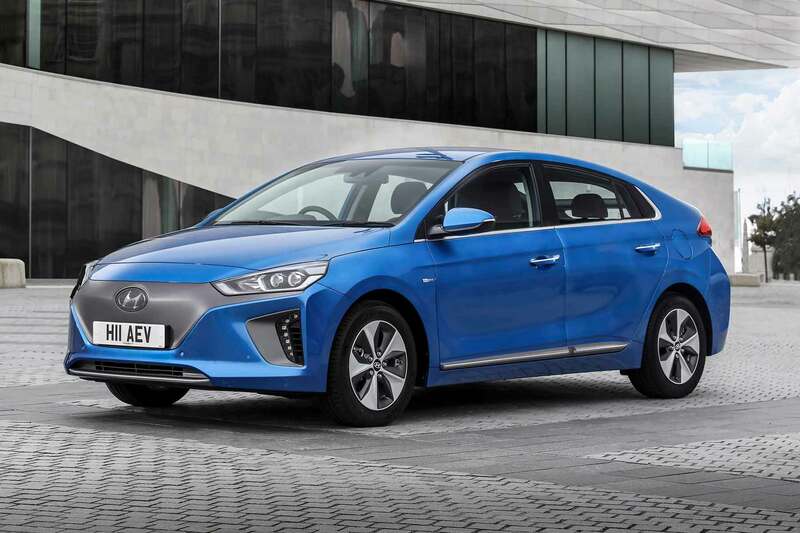 Keenly priced at £25,745, the Ioniq shows the benefits of designing an EV from the ground up, rather than converting a conventionally-powered model. If you want a motorsport-style carbon-fibre chassis, rear-wheel-drive and 19-inch alloy wheels, an electric car might not be your first choice. But those features are exactly what the BMW i3 offers, along with an NEDC range of 225 miles with the recently revised 42kWh battery pack. You’ll also get 0-62mph in 7.3 seconds, funky ‘suicide’ rear doors and the benefit of a premium badge. Prices for the updated model haven’t been confirmed yet, but the starting list price for the 33kwh car was £27,880. From £25,190, you now get an NEDC range of 235 miles in the new 2018 Leaf. The updated looks are less apologetic, the cabin is much more attractive and the real world range of 150 miles is workable. The second-generation Leaf is a major step on indeed. The e-Pedal makes driving easier than ever, too, with regenerative deceleration calibrated such that normal braking is just a matter of lifting off. What’s more, a 60kWh version with even more range should be here soon. 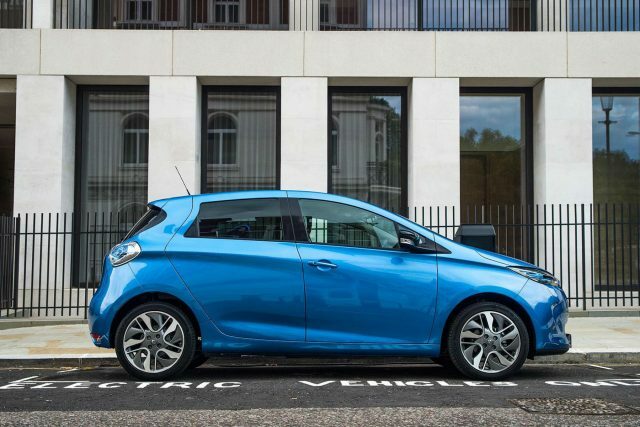 Fitted with the larger ZE 40 battery and now available with the new R110 motor, the Zoe can be charged from 0-80 percent in just 65 minutes via an appropriate charging station and will cover an NEDC-equivalent 250 miles – real world, that’s around 180 miles. The old Q90 motor is still available, although overall range is compromised slightly. The main question is whether you rent or buy the batteries. The former leaves a starting price of £18,420, the latter more than £24,000. 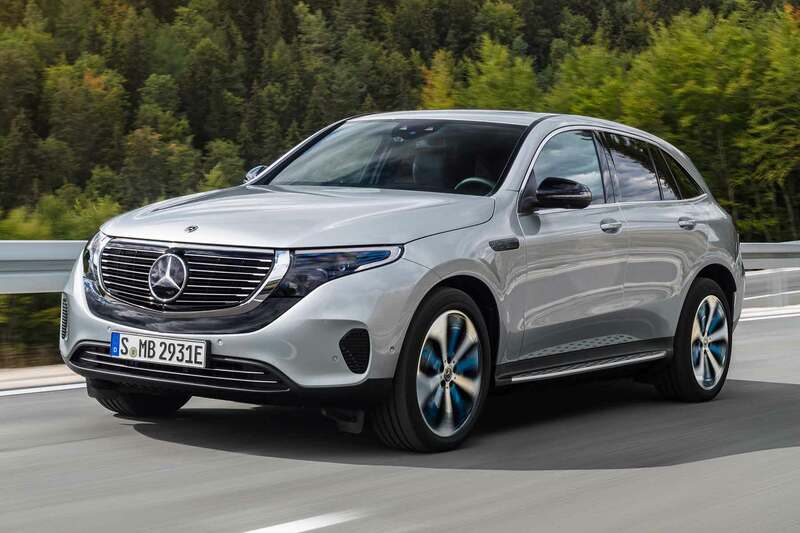 Beating the Audi E-tron to the punch was the EQC crossover SUV from Mercedes-Benz. Packing a comparatively small 80kWh battery, on balance, the EQC’s 280-ish NEDC equivalent range is impressive. While not using all of its 400hp, you can expect around 250 miles of real-world driving. Price-wise it shouldn’t be too far north of £60,000 when it arrives in 2019. Expect a veritable tidal wave of EQ-branded electric models from Mercedes going forward. 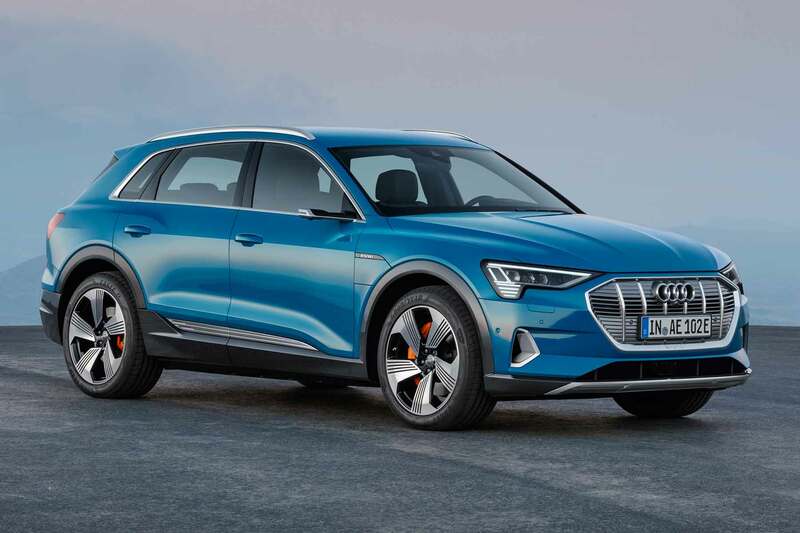 The freshly-revealed Audi E-Tron is a relatively late entry to the EV market for a marque that’s been so publicly curious about electric power over the last decade. Still, better late than never. The E-tron looks promising to say the least. An official NEDC number hasn’t actually been quoted, but based on Audi’s 250-280-mile post-homologation estimates, that could reasonably see it past an NEDC-rated 300 miles. As well as that, you get up to 400hp and cameras instead of wing mirrors for your £71,000 or so. It marks the start of a 12-car Audi EV onslaught. 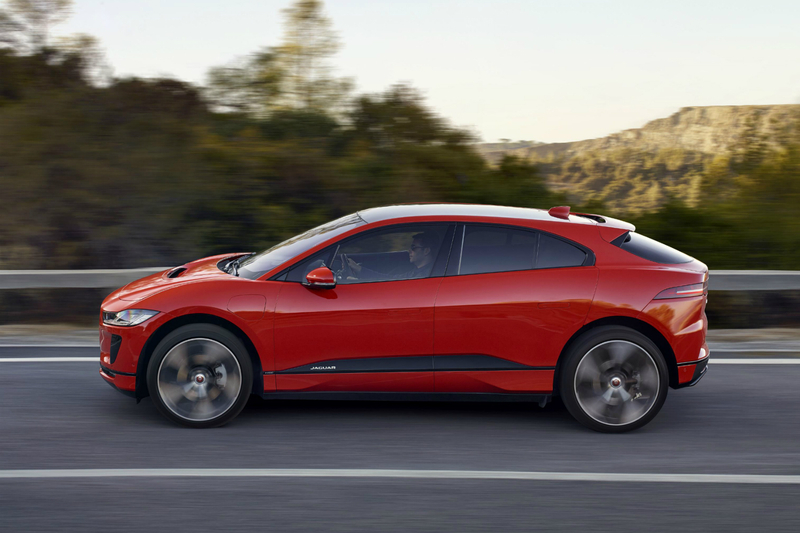 The Jaguar I-Pace has the Germans licked for now. Not only has it got to market months earlier, it also offers what seems to be superior range. While Audi and Mercedes are talking about between 250 and 280 miles of homologated range, Jag was there months ago with 280+ real-world miles or 336 miles on the NEDC cycle. Couple that with 400hp and startling looks to make the relatively humdrum Germans fade into the background and you’ve got a leader in this fledgling £60,000-£80,000 premium EV segment. There are of course many variants in the Tesla range. The 90D Model X will get you 303 miles of NEDC driving. 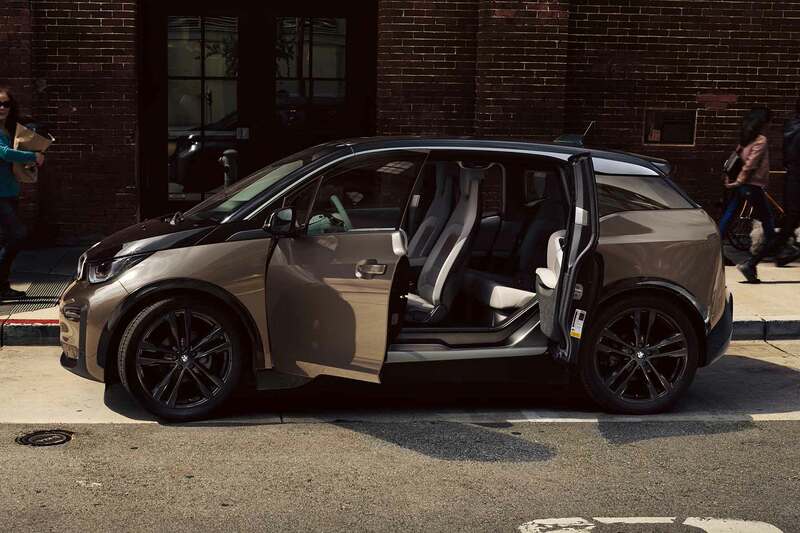 If you really need to make six passengers vomit profusely, but with the guilt-free feeling of using electric power, the Model X P100D is what you need. The ‘P’ stands for performance, and means a 100kWh battery pack mated to uprated electric motors. The result is a range of 336 miles, but a 0-60mph time of 2.9 seconds is the bigger party-trick for this £129,200 SUV. 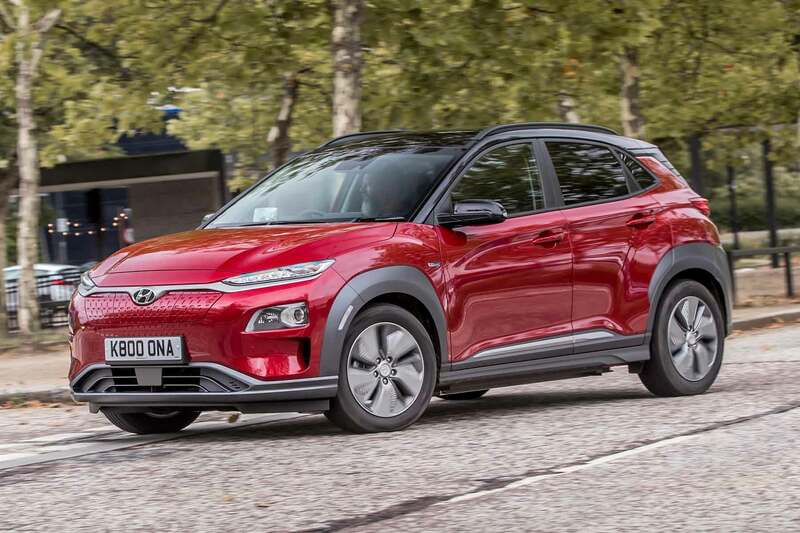 Devoid of I-Pace levels of fanfare, Tesla levels of hype or E-tron levels of teasing, comes the humble circa-£30,000 Hyundai Kona Electric 64kWh. It’s a silent revolution, obviously in terms of the powertrain but also in terms of fuss. It’s delivering premium EV range for half the price. You aren’t getting better range-per-pound anywhere else. There’s also a 40kWh model that manages an NEDC-rated 214 miles for around £5,000 less. 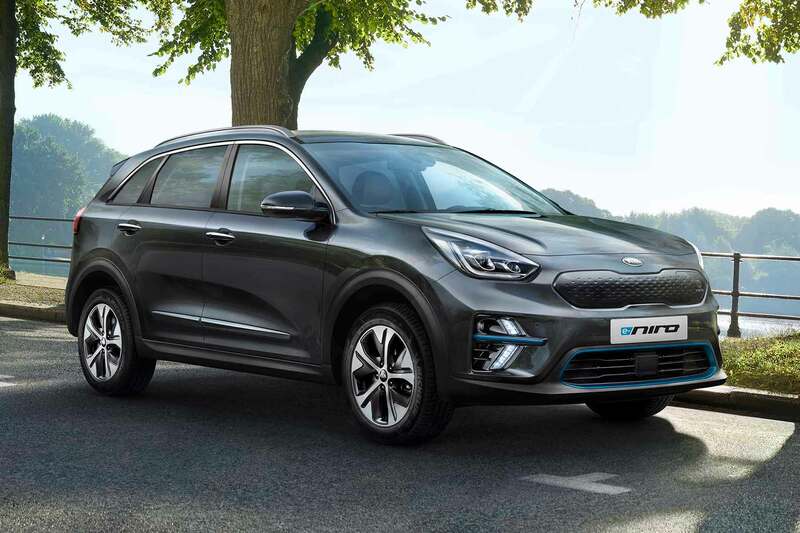 Borrowing much from its Hyundai Kona Electric sister car, the Kia e-Niro is just as impressive. 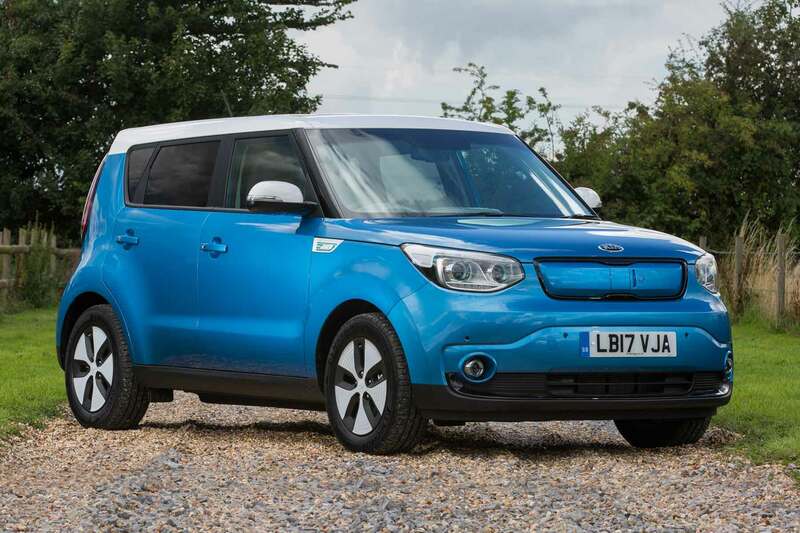 A circa-£30,000 price point when the 64kWh model arrives seems tall for a Kia. However, as with the Hyundai, it’s I-Pace-beating range for half the price. If you value substance over style, these Korean EV twins rule the world right now. Forgo the need to get ‘Ludicrous’ with your Model S and you can save £41,900 – and gain an additional 12 miles in NEDC range. The long-distance EV still achieves supercar-rivalling performance and, at present, offers the furthest you can go in an EV on a single charge. As with all the cars featured here, remember the NEDC range is purely for comparison purposes. Real-world figures will vary due to weather, driving style, and traffic conditions. If estimates are to be believed, one million of us could be driving electric cars within the next four years. Like it or not, it’s probably time to consider whether an electric vehicle could work for you. The actual process of driving an electric car is very simple. Many are very similar to petrol or diesels in the way that they drive – albeit with an automatic transmission and instant torque. They generally feel more relaxing than equivalent petrols or diesels, but they can also offer surprising performance. It’s recharging that’s a little more difficult. Rather than simply stopping at a petrol station and filling your car’s tank within a few minutes, charging an electric car can be a time-consuming process. But it doesn’t necessarily need to be difficult and, for many of us, it’s easy enough to fit it into our lives. Think of charging an electric car the same as charging your phone. You can do it using a simple three-pin domestic plug socket, leaving it overnight for a fully-charged car when you wake up the next day. Although it depends on your electricity supply, the specific car and, of course, how flat the batteries are, it typically takes around eight hours to charge an EV using a three-pin socket. For faster charging, a professional can install a home charging point. This would normally cost around £1,000, but there’s currently a £500 government grant available for EV drivers. This can reduce charging times by up to 50 percent – meaning you can have a fully-charged EV in about four hours. True, most people don’t have four hours to waste waiting for their car to charge. But with the range of many electric cars (i.e. how far they will travel on a charge) now exceeding 200 miles, ask yourself how often you exceed that in one day? If your daily mileage is usually less than 200 miles, just charge your electric car at home overnight. For those occasions when you do travel further afield, there are alternatives to charging at home. There’s a network of more than 14,000 chargers at around 5,000 different locations around the UK, with the number of fast and rapid chargers growing quickly. Rapid chargers are usually found at motorway service stations. They can top an electric car up to 80 percent charge in just 30 minutes – ideal if you’re on a long journey and want to break it up with a coffee and a refill. They do cost, though, with Ecotricity (the firm that owns UK’s rapid charging network) implementing a £3 connection charge, plus 17p per unit of electricity used. Alternatively, there are a number of slower public chargers available to use for free. These include more than 7,000 fast chargers, often found in shopping centres and supermarket car parks. These can charge an electric car in a couple of hours – perfect if you’re spending an afternoon shopping. Wouldn’t it be handy if there was a streamlined charging network around the UK? Several different companies run public chargers across the country, meaning you may need various different cards or methods to access them. The best thing we did when we ran a Mitsubishi Outlander PHEV for six months was to obtain a Polar Plus card from Chargemaster. For £7.85 a month, this gave us access to more than 6,000 charging points across the UK. This live map showed us where we could use the card – including live information – and then all we had to do was swipe the card and plug in. The majority of chargers at motorway service stations are operated by Ecotricity which, as we’ve mentioned, does charge you for a, er… charge. Tesla owners, meanwhile, can use the brand’s own Supercharger network. In a depressed new car market, electric cars are a rare beacon of hope for the carmakers. Year-to-date registrations are down 9.3%, but sales of alternative-fueled vehicles are up 41.0%. Sales of pure electric cars are a significant factor, with registrations up 37.3% to 11,127 units by the end of September. All of which means electric cars are emerging from the shadows of petrol and diesel cars, switching from niche to mainstream. The threat of anti-diesel legislation and concerns over public health have led to a backlash against diesel, which is fuelling a rise in the number of people considering an electric car. With this in mind, what do you need to know if you’re considering making the switch? The electric vehicle is nothing new. In fact, electric cars date back to the late 19th and early 20th century, and electricity was once the dominant means of propulsion. For many people, the one and only experience of an electric vehicle is the sound of the milk float delivering fresh pints to our doorsteps. But today’s electric cars are a far cry from the milkman’s chariot. The technology and infrastructure have moved on to such an extent, an EV makes practical sense for a large number of motorists. An electric car is just that: a car that runs on electric power. An electric motor sources power from a battery, which can be recharged by plugging the car into a power source. 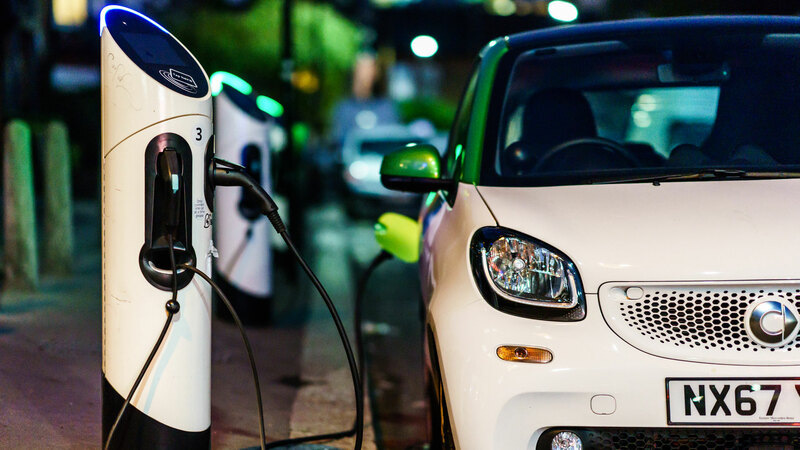 As the technology moves on and the infrastructure continues to grow, there’s no doubt that an electric car is becoming a realistic prospect for a greater number of motorists. But there are some questions to be asked before you take the plunge. Do you have access to a charging point? 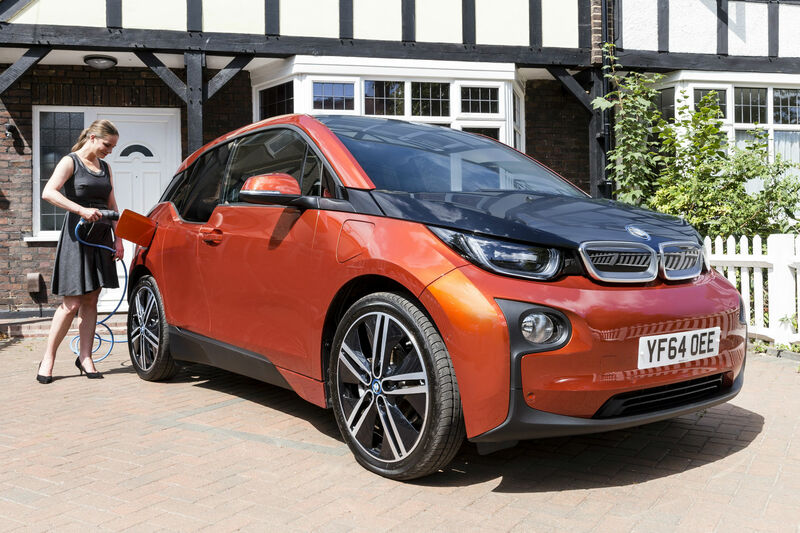 Realistically, you’ll need to install a home charging point if you’re buying an electric car. 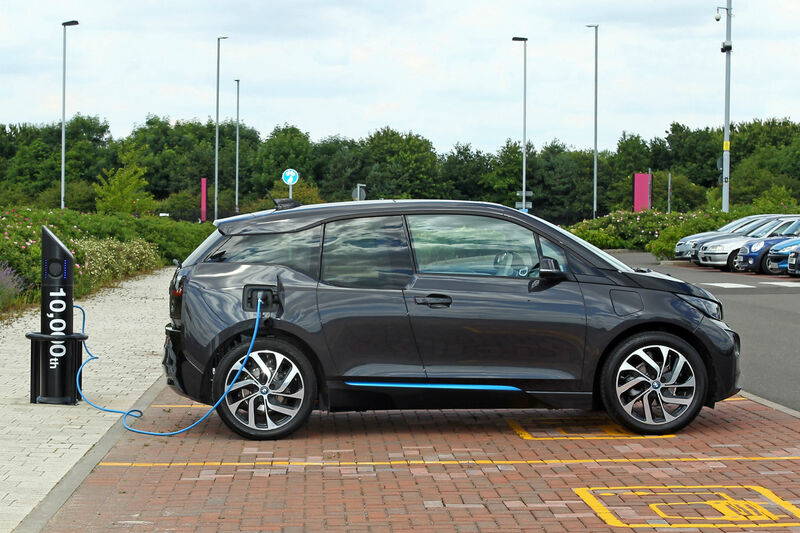 The good news is that some manufacturers will offer a free charging kit as part of a finance package, while grants are available towards the cost of installing a charge point. If you haven’t got access to a garage or parking space with access to a plug socket, an electric car will be a non-starter. Trailing a charging cable across a pavement is not a good idea, while carmakers advise against using an extension lead. Alternatively, you could charge up at work, but if a charging point isn’t available at home or the office, we’d suggest an electric car isn’t for you. Not yet, anyway. Once upon a time, 100 miles was the maximum range you could expect from an electric car, but cars like the Tesla Model S, and to a lesser extent, new versions of the Renault Zoe and Nissan Leaf are able to travel much further. Even so, if your daily commute is further than 100 miles, we’d recommend a plug-in hybrid, rather than a pure electric vehicle. An EV is best suited for shorter commutes, trips to the station and predominantly urban use. While you can buy a new petrol car for as little as £6,000, you’ll need to fork out at least £15,000 for an electric vehicle, and that’s before factoring in the cost of the battery. And because EV technology is still relatively new, the used car market isn’t loaded with cheaper alternatives. More on this later. Generally speaking, electric cars are more expensive to buy than their petrol or diesel counterparts, but the tide is shifting in favour of EVs. 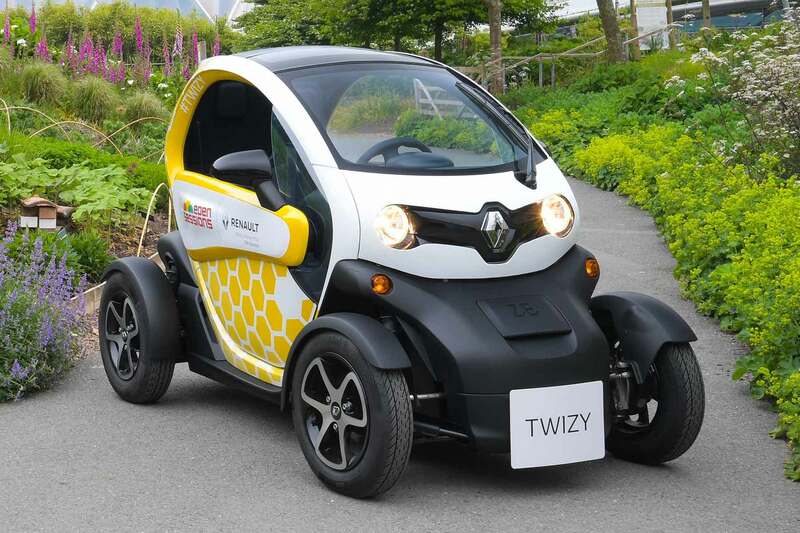 Taking the Renault Twizy quadricycle out of the equation, you’ll need to find at least £15,000 for a brand new electric car. Looks good on paper, but be warned: the purchase price doesn’t necessarily include the battery, which will be leased on a monthly basis. For example, battery rental on the Renault Zoe costs from £49 to £110 per month, depending on spec and mileage. That adds between £588 and £1,320 a year. 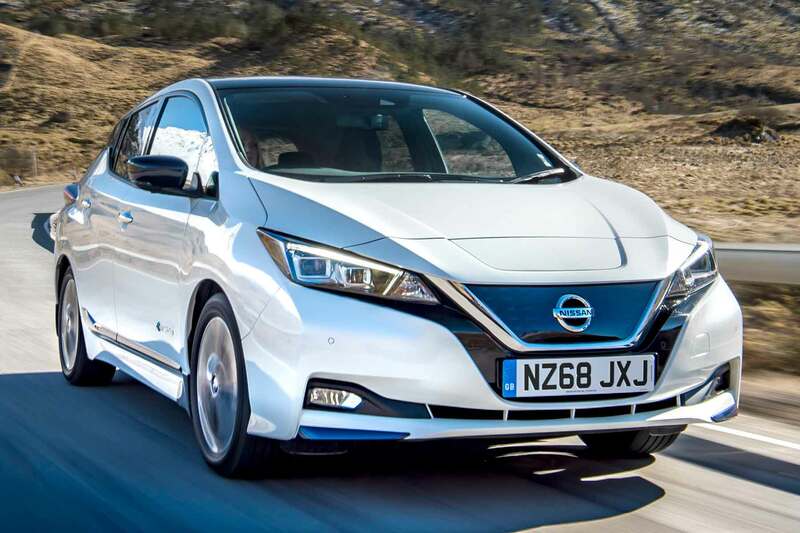 You can purchase the battery outright on the Nissan Leaf, but it adds £5,000 to the purchase price, taking the cost of the cheapest Leaf 24kWh to £21,680. There are pros and cons associated with leasing or buying a battery – more on this later. 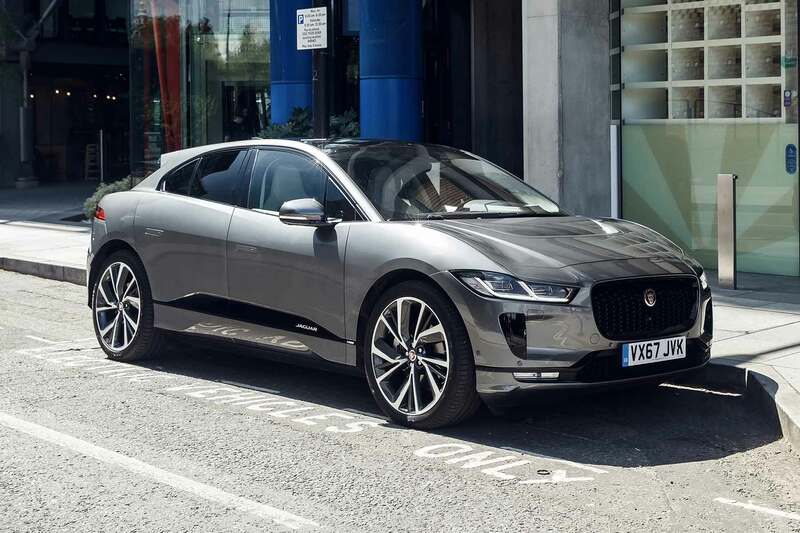 The prices listed above include the government’s Plug-in Car Grant (PiCG), which is currently set at 35% of the purchase price, up to a maximum of £4,500. To qualify for the maximum (Category 1) grant, vehicles must emit less than 50g/km CO2 and be able to travel at least 70 miles on electric power. 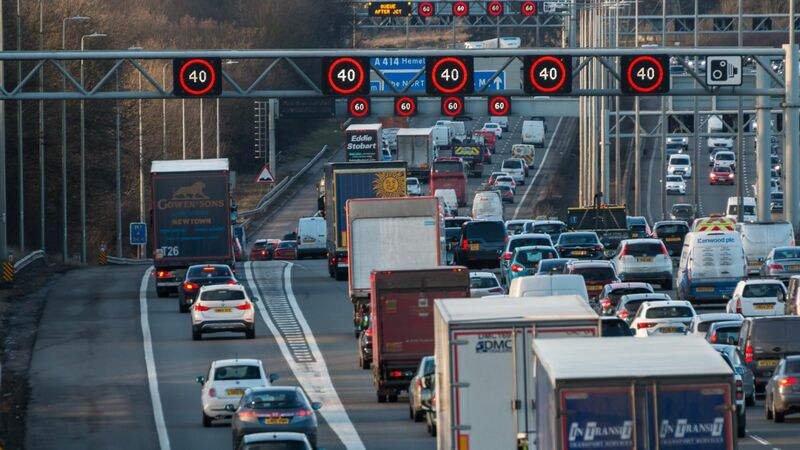 The threat of anti-diesel legislation has prompted many carmakers into launching so-called scrappage schemes, designed to encourage the purchase of cleaner vehicles. The deals can be more lucrative on electric and hybrid cars. For example, Volkswagen is offering £5,500 off the price of an e-Golf when you trade in an old diesel vehicle. 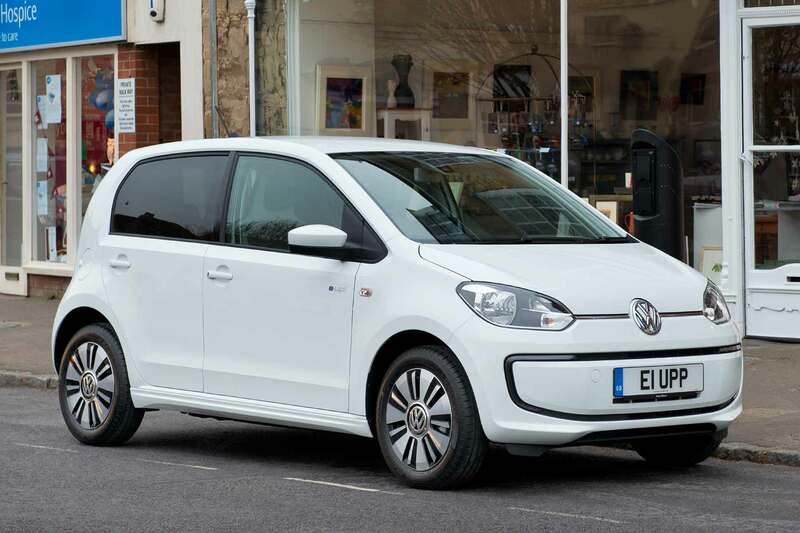 The saving is £3,300 on the e-Up and is in addition to the government’s plug-in vehicle grant. Under Nissan’s ‘Switch Scheme’, owners of cars built before 2010 can claim up to £5,000 on top of the car’s trade-in value if they agree for it to be exchanged. 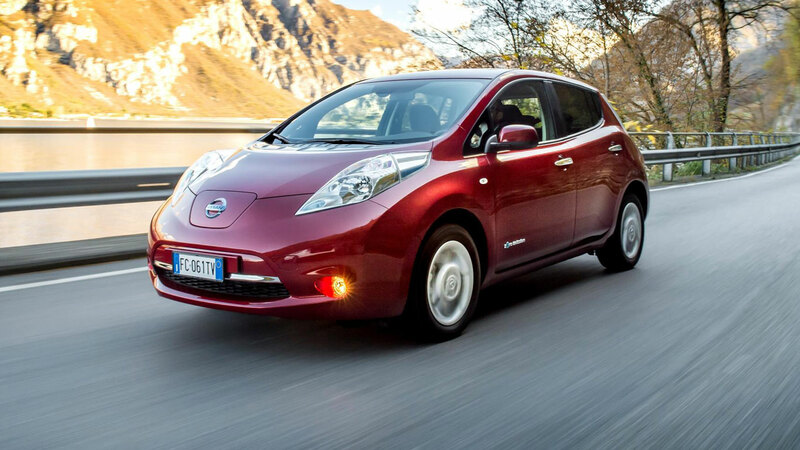 It means that the Nissan Leaf is more affordable than ever. But there’s more because Nissan is also offering a discount on an approved-used Leaf. Buyers will receive up to £2,000 on top of the trade-in value and a special three-year, 3.9% APR PCP scheme to spread the payment. You could pay as little as £87 a month and receive a free home charging kit worth £279. The new Vehicle Excise Duty (VED) tax bands, introduced in April 2017, eliminated the zero-rate of tax for all but the cleanest of vehicles. In fact, only zero-emissions vehicles are exempt from paying any tax. 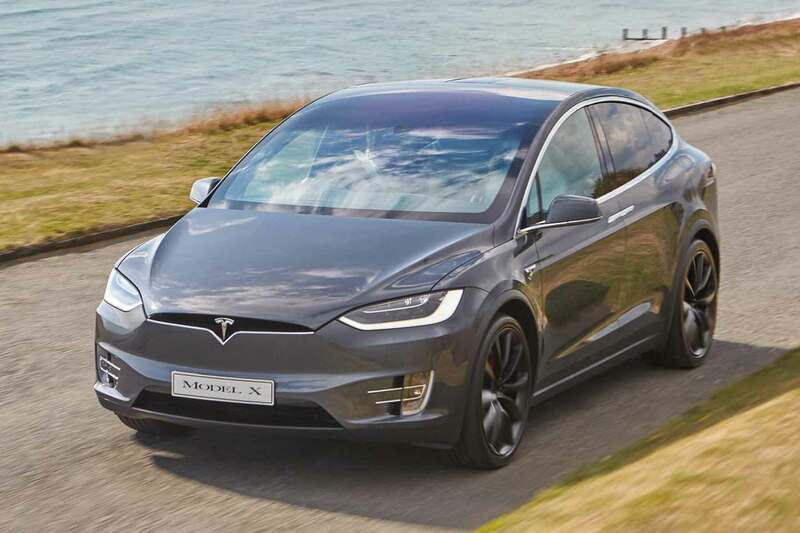 That said, all cars above £40,000 pay a £310 annual surcharge for five years starting in year two, which affects the rate of tax for the Tesla Model S and Model X. The London Congestion Charge is a £11.50 daily charge for driving a vehicle within the charging zone between 7pm and 6pm, Monday to Friday. This fee can be reduced by £1 a day with Auto Pay, which costs £10 to register per vehicle. But worse is to come for motorists entering London, with a new Toxicity Charge (T-charge) for older, more polluting vehicles. From 23 October 2017, vehicles that don’t comply with the Euro IV exhaust standard as a minimum will be charged £10 for entering central London. This means that, in effect, all vehicles registered before 2006 will have to pay to enter central London, with the T-charge on top of the Congestion Charge. Electric cars are exempt from both fees: a potential saving of £21.50 a day. The T-charge will be in force until the Ultra Low Emission Zone is introduced in 2019. With politicians and local authorities seeking to clean up our urban areas, you can expect other towns and cities to follow the London lead. Soon, zero- or low-emissions cars might be the only vehicles welcome in city centres. With the electric car in its infancy, you’re not exactly spoilt for choice when it comes to buying a used EV. At the time of writing, only 744 of the 450,000 or so cars for sale on Auto Trader were electric, of which 696 were used or nearly new. 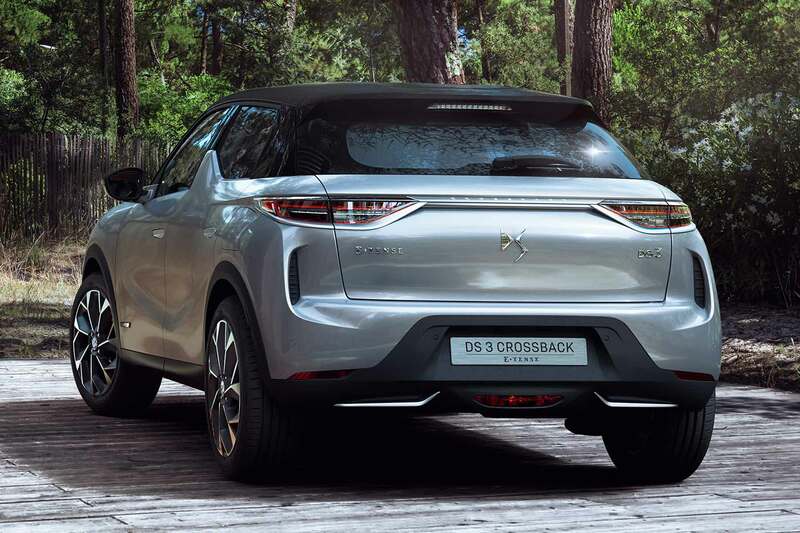 You’ll also need to factor in the cost of battery leasing, especially if buying a Renault electric vehicle, as 95% of the French firm’s EV product has a leased battery. Conversely, only 5% of Nissan Leaf product featured a battery purchased on a lease. If the used electric car includes a battery purchased outright, there’s the worry of how well it keeps its charge. If the battery is past its best, the cost of replacement could be enormous, and as the car gets older, more than the vehicle is worth. For most people, leasing a battery makes more sense, as it removes any concerns about resale value or battery life. The charging infrastructure and limited range mean that many electric cars cover limited miles and the tariffs tend to reflect this. 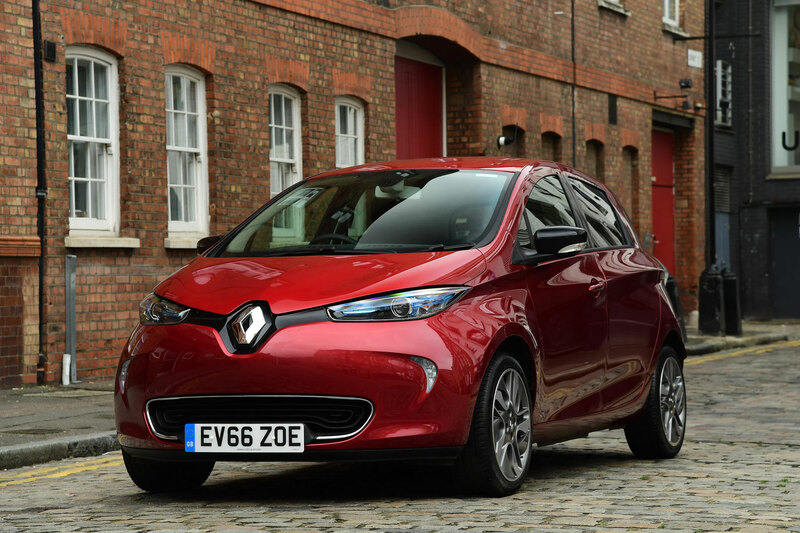 We’ve provided examples based on two versions of the Renault Zoe. 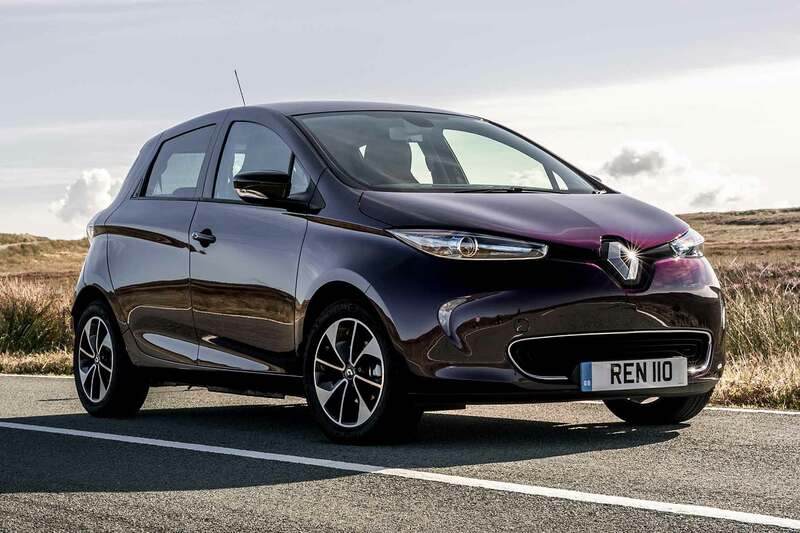 Based on a three-year contract at 10,500 miles per annum, a Renault Zoe Expression Nav 22kWh will cost £14,245 to buy and £3,204 in battery hire, providing a total cost of £17,449. Bought outright, the cost would be £19,845. When leasing, Renault will provide a battery performance guarantee to at least 75% of its original capacity. If it drops below 75%, Renault will repair or replace the battery. 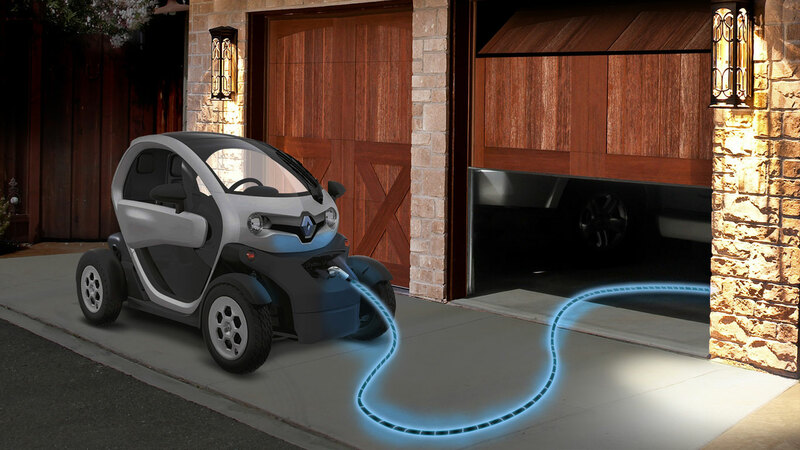 When buying outright, Renault will provide a guarantee of eight years or 100,000 miles, as well as guaranteeing the battery to at least 66% of its capacity. 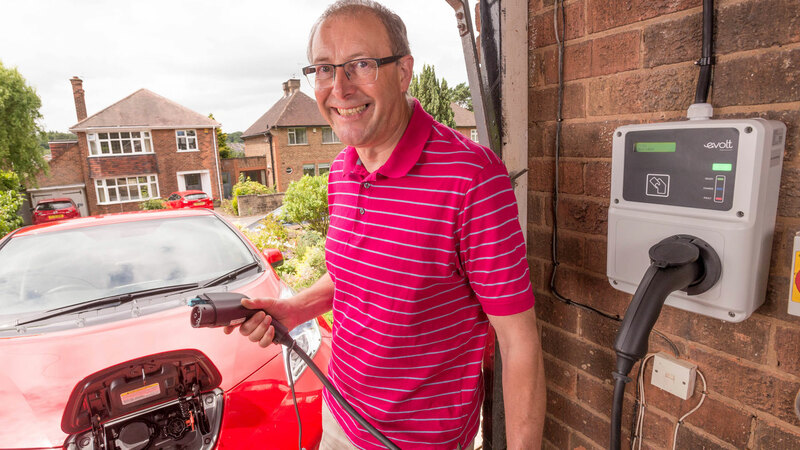 Charging an electric car can be done at home, at work or at a public charging point. According to Zap-Map, there are currently charging points at 4,887 different locations in the UK, providing a total of 7,535 devices and 13,971 connectors. These figures are up from 4,003 devices and 10,839 connectors in November 2016, which proves that the infrastructure is catching up with demand. But the overall figure tells only half the story: what’s just as important is the type of charger available at any given location. As recently as five years ago this was the most common type of charging point in the UK, but today, the slow charger is in the minority. The clue is in the name: a full charge could take anything between six and 12 hours. Most electric cars are supplied with a charger allowing you charge using a standard 13-amp three-pin plug. A slow charger is best reserved for charging overnight when at home or during the day at the office. 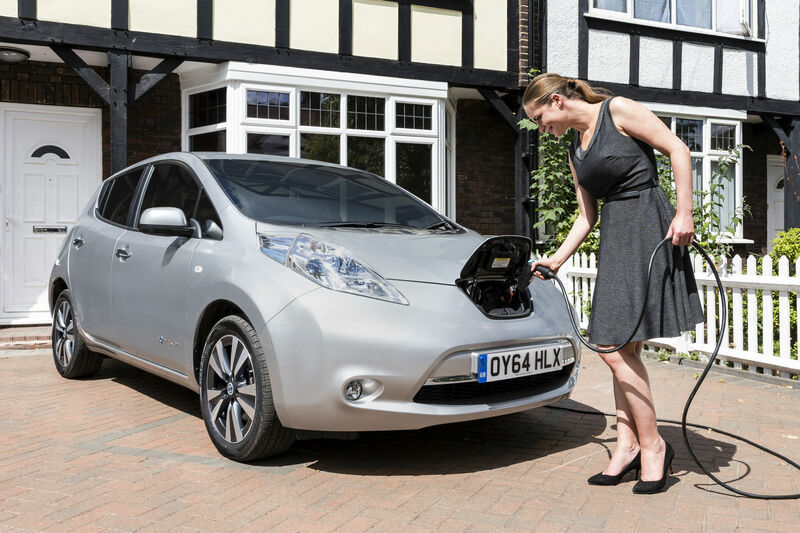 A home charging point is recommended, with some carmakers incentivising purchases via a free home installation. You’ll find fast chargers in supermarket car parks and shopping centres, or somewhere an electric car can be left for a more extended period of time. 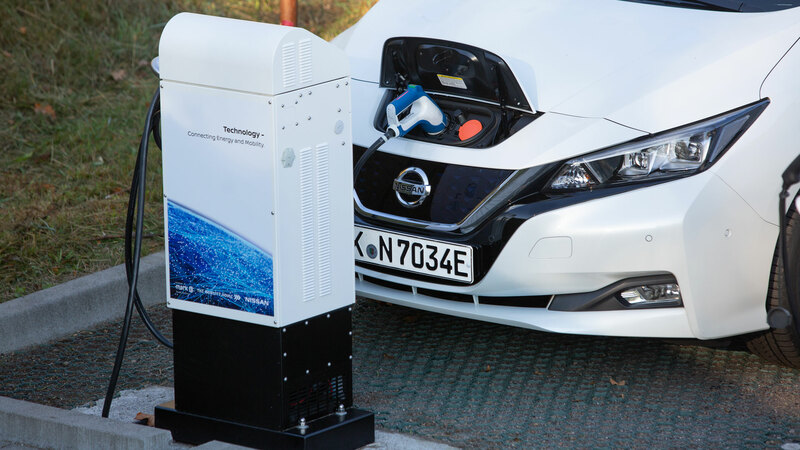 A 7kW charger will recharge an EV in 3-5 hours, while a 22kw charger could complete the job in less than a couple of hours. Today, the fast charger is the most common charging point in the UK, with 7kW home chargers the norm for electric car households, especially those with 80-100A supplies. A rapid charger can provide up to 80% of charge in just 20-40 minutes, making them ideally suited to motorway service stations. 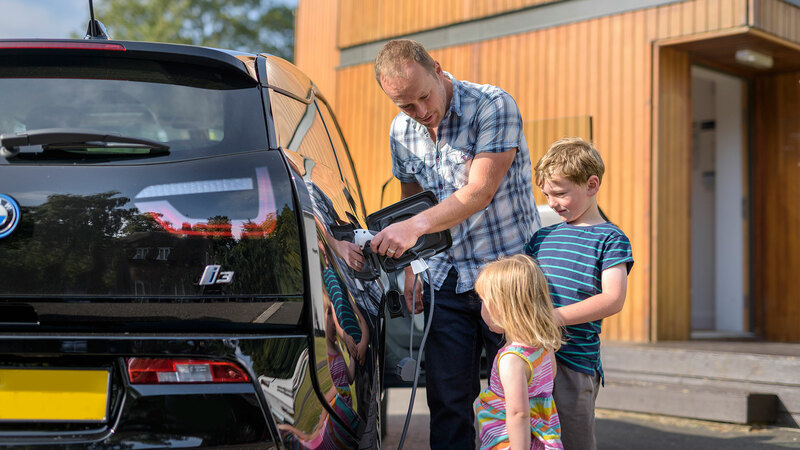 Chargemaster – the self-proclaimed ‘biggest name in electric vehicle charging’ – could install a charging point at your home within two weeks, with prices starting from £279 for a 3kW charger. Its entry-level Homecharge point is 60% faster than a 13A plug. A 7kW charger is three times faster than a 13A plug and costs £354, while a 22kW charger – 10 times more rapid than a 13A plug – costs £1,200. The Homecharge points are suitable for indoor and outdoor use and covered by a three-year warranty. According to Pod Point, it’ll cost around £3.64 for a full charge when charging an electric car overnight at home. Assuming a typical range of 100 miles, that equates to less than 4p per mile. Many public charging points remain free, although you’ll have to pay for rapid chargers, such as those found at motorway service stations. Similarly, while Tesla offers free access to its Supercharger network for Model S owners, it will introduce ‘pay per use’ charging on the Model 3. 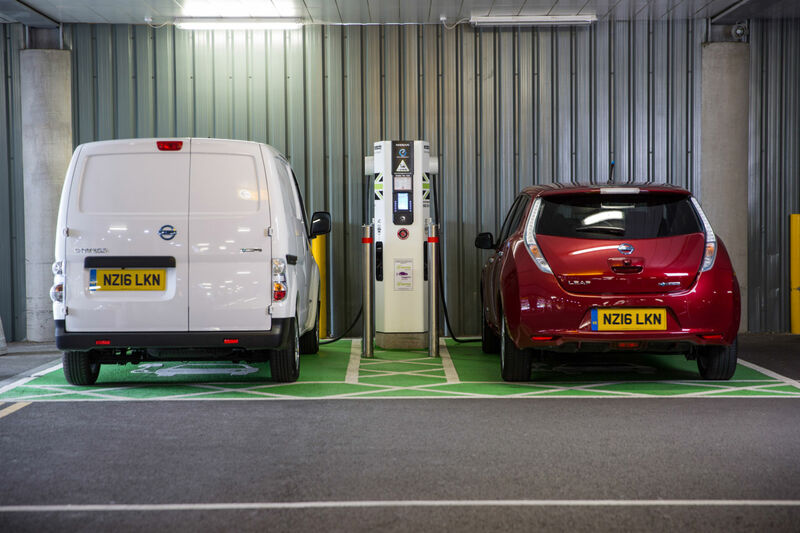 Ecotricity claims that its electric vehicle charging network is the ‘most comprehensive in Europe’, featuring around 300 electric charging points. Each charging session costs 17p per kWh of electricity used, plus a £3 connection fee. Polar – the UK’s largest EV charging network – provides access to 5,000 public charging points via a subscription service. 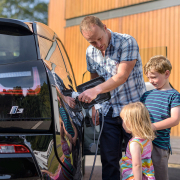 The first three months’ membership is free, after which you pay £7.85 per month, which provides access to all charging points, 80% of which are free to use. Pod Point suggests budgeting £6.50 for a 30-minute rapid charge at a motorway service station. The range you can expect from an electric car is dependent on the battery, the time of year and the style of driving. For example, the driving range will drop considerably in colder weather. 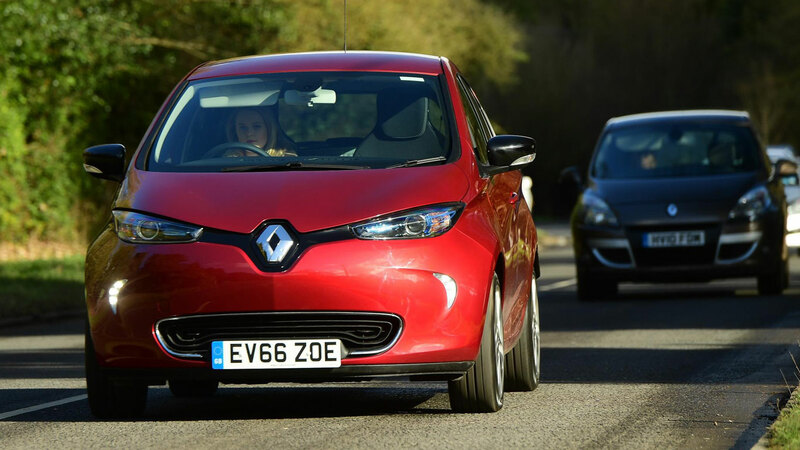 Renault estimates up 186 miles in the summer and 124 miles in the winter for the Zoe Z.E. 40. As an overview, here are the official New European Driving Cycle (NEDC) figures, as provided by the manufacturers. In all cases, you’re unlikely to achieve the claimed figures. A pure electric car has three main components – the motor, the charger and the inverter – which meaning servicing and maintenance is much more straightforward and cheaper than on a petrol or diesel car. In all cases, the cost-saving needs to be balanced with the initial outlay, which tends to be higher for an electric vehicle, but it proves that maintenance and servicing should be easier to manage. Electric vehicles typically have between five and eight years’ warranty on the electric motor and battery components. For the rest of the car, the length of warranty depends on the manufacturer – ranging from three years and 60,000 miles to seven years and 100,000 miles. The battery guarantee will also depend on the manufacturer. 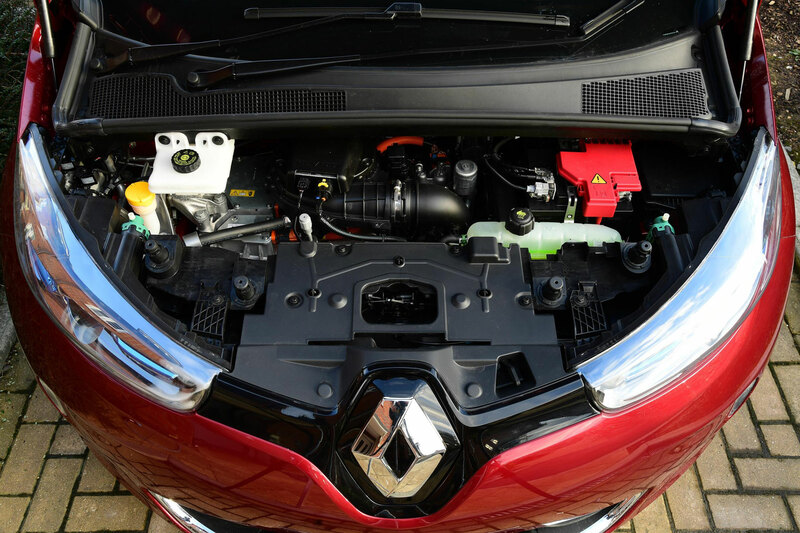 For example, Renault will guarantee performance to at least 85% of its original capacity, or pay for repair or replacement, when you lease the battery. If you’re buying outright, the battery is covered for eight years or 100,000 miles, along with a performance guarantee to at least 66% of its original charge capacity. As the technology improves, batteries are becoming more robust. Owners forums are a good place to discover real-world experiences of EV owners. 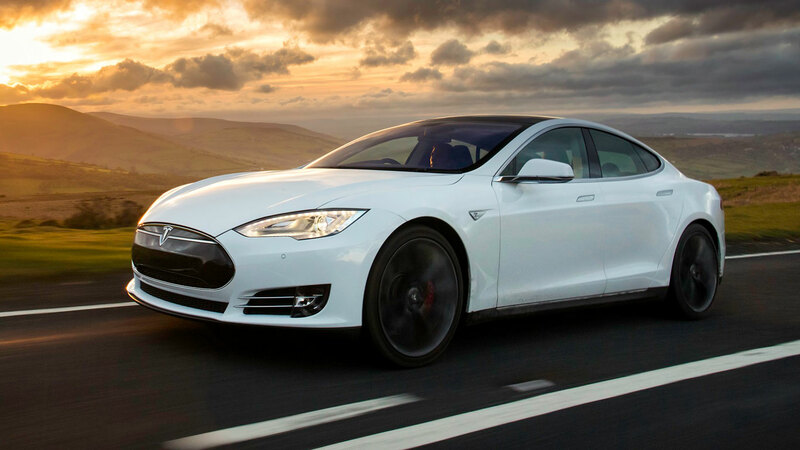 For example, we discovered that a Tesla Model S will retain between 90 and 95% capacity, even after 93 miles. After 150,000 miles, only 15% capacity will have been lost. Euro NCAP conducted the first crash test of an EV in 2011 when the Mitsubishi i-MiEV was awarded a four-star rating. Other EVs have since been tested, but it’s worth noting that a Euro NCAP test in 2017 is more rigorous than the equivalent test in 2011. In what is seen as a significant step forward for electric cars in the UK, Shell is to install vehicle charging points at its petrol filling stations. 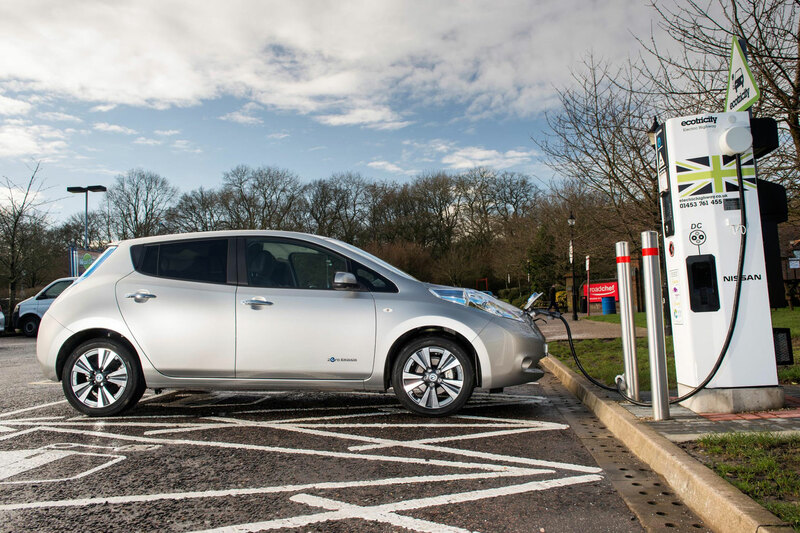 Drivers will be able to recharge 80% of their battery in 30 minutes at forecourts in London, Surrey and Derby, with a further 10 service stations to feature rapid chargers by the end of the year. “There’s no doubt the electric vehicle market is developing fast. And we want to offer customers choice: it doesn’t really matter what kind of vehicle they’re driving, we want them to drive into a Shell station, refuel in whatever capacity the fuel is,” said Jane Lindsay-Green, future fuels manager at Shell UK. Meanwhile, the government has introduced a bill to make electric charging points mandatory at large petrol stations and motorway service areas. 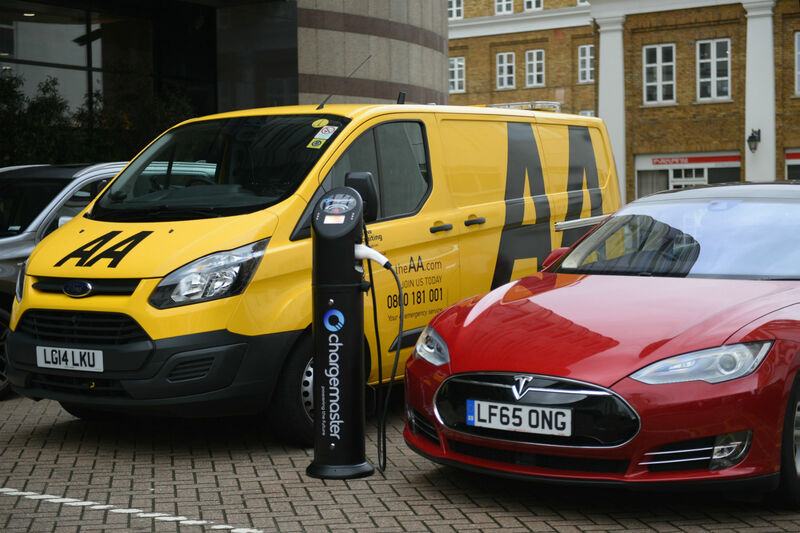 The Automated and Electric Vehicles bills will double the number of charging locations in the UK, leading to multiple points at some of the busiest areas. Transport minister, John Hayes, said: “We want the UK to be the best place in the world to do business and a leading hub for modern transport technology, which is why we are introducing the Automated and Electric Vehicles Bill in Parliament and investing more than £1.2 billion in the industry. When you clambered out of bed this morning, were you desperately hoping to discover what were Auto Trader’s most viewed electric and hybrid adverts in 2016? If so, we bring good news, as here are the answers, kicking off with the most viewed hybrids, presented in reverse order. It’s the gift that keeps on giving. 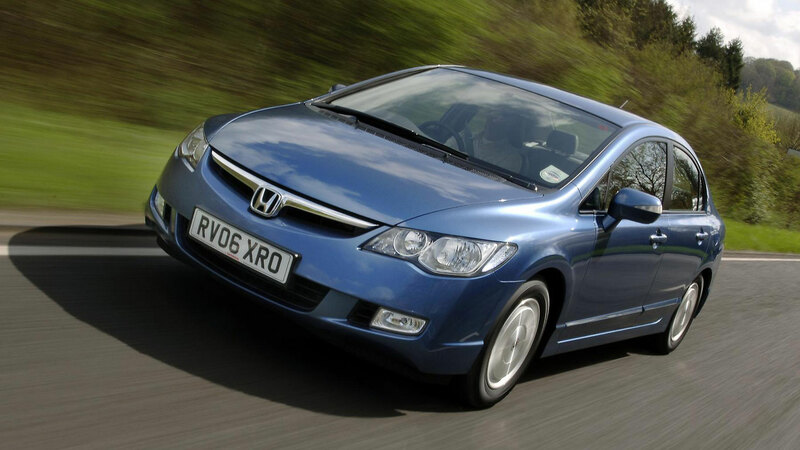 Remember the Honda Civic Hybrid? Probably not, because it lived in the shadow of the more popular Toyota Prius, but it makes a terrific used buy. The Mk2 is powered by the 1.3-litre engine from the Honda Jazz, which works with an electric motor to deliver the economy of a 1.1-litre car and the performance of a 1.6. Prices range from £1,250 to £6,000. 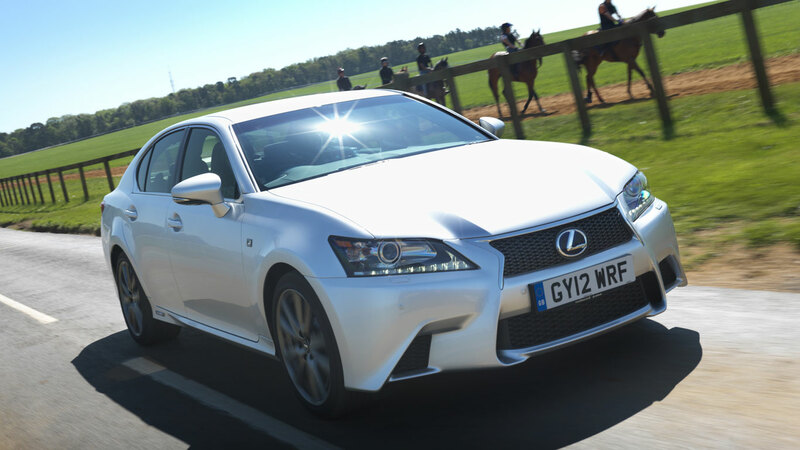 The petrol-electric 450h is the flagship of the Lexus GS range, powered by a 3.5-litre V6 engine mated to a CVT transmission. New, you’ll spend upwards of £52,995 on a GS 450h, but used prices start at £4,000. That’s an awful lot of car for the money. 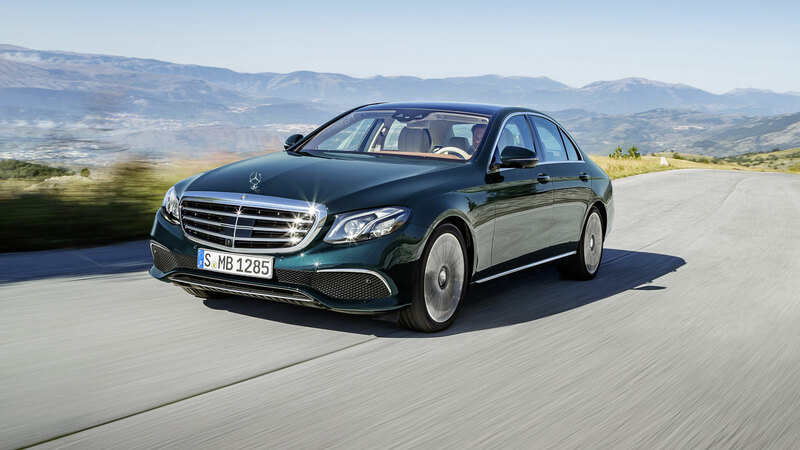 Whether you’re looking at a used E300 diesel-hybrid or a brand new E350e petrol-hybrid, the Mercedes-Benz is a popular search on Auto Trader. The new E350e plug-in hybrid pairs a 2.0-litre turbocharged engine with an electric motor to deliver CO2 emissions of just 49g/km. Prices start from £45,510. 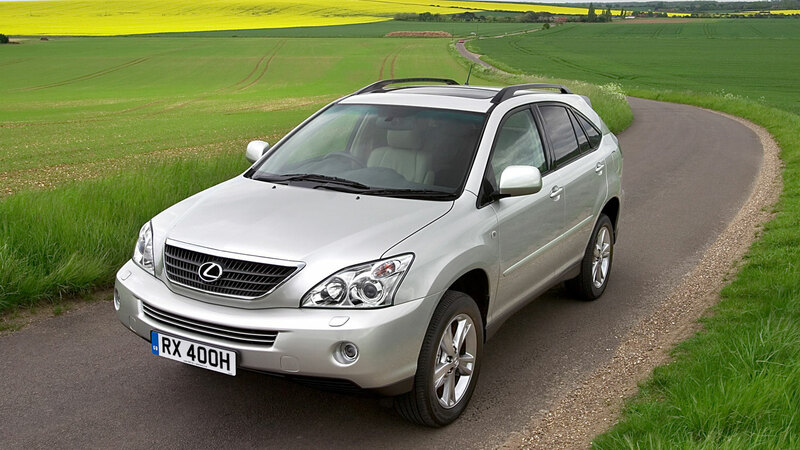 The Lexus RX 400h arrived in 2005 and immediately struck a chord with eco-conscious SUV drivers. The petrol-electric version of the RX paired a 3.3-litre V6 engine with an electric motor to deliver best-in-class fuel economy and brisk performance. Used prices range from £4,000 for a high-miler to £14,000 for a more recent example. These things are very good at holding their value. 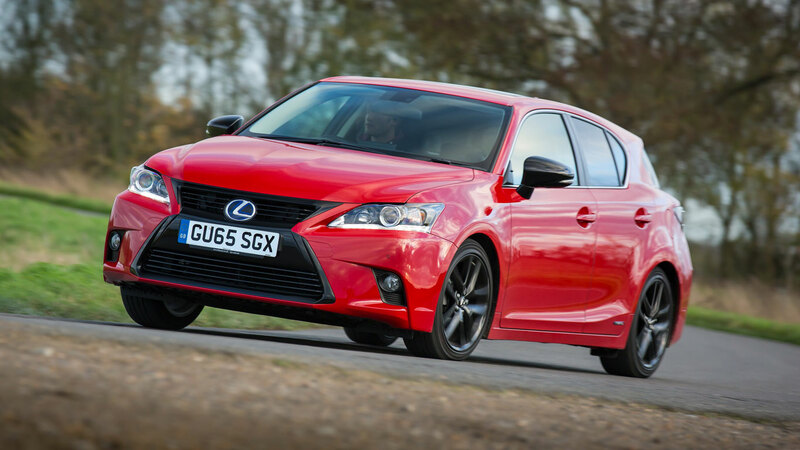 Lexus’ near dominance of the hybrid sector continues with the IS 300h. New, you’ll spend £29,995 on the entry-level IS 300h SE, and in return you’ll see CO2 emissions of 97g/km and a claimed 67.2mpg. Used prices start from around £12,000. We take a break from this Lexus party to bring you a slice of the future. 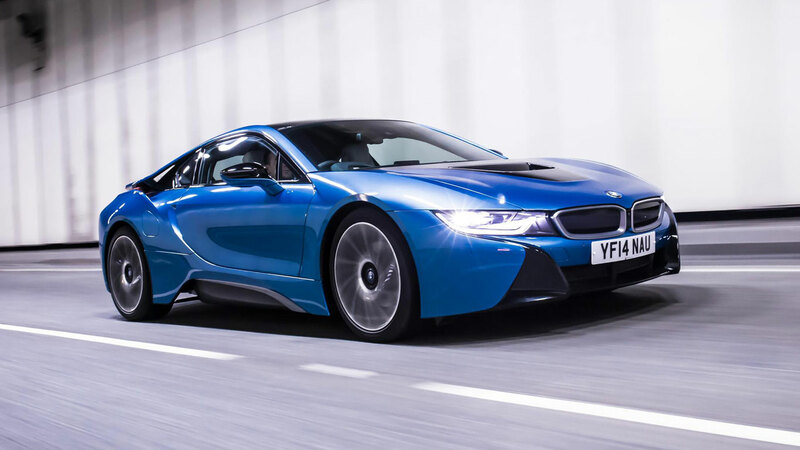 Thanks to its supercar-styling, the BMW i8 is the poster child of the hybrid sector, with a 1.5-litre turbocharged three-cylinder petrol engine and electric motor combining to create a total system output of 357hp. New, you’ll pay upwards of £104,660, while used prices start from a not unreasonable £60,000. Meanwhile, back in the real world… A Toyota Auris Hybrid will set you back at least £20,895, and in return you could see up to 80.7mpg and CO2 emissions of 79g/km. 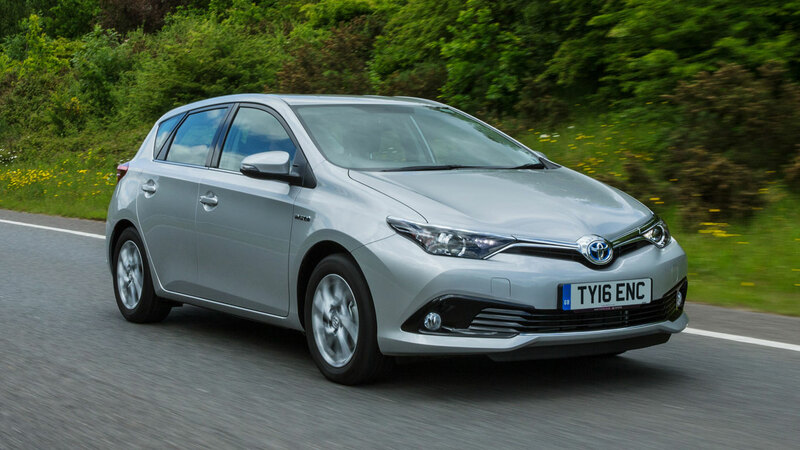 The Auris Hybrid pairs a 1.8-litre petrol engine with an electric motor, and while it’s not the most exciting car on the planet, it does a reasonable job of protecting it. It should be reliable, too. We return to Lexus, where we find the RX making its second appearance. The current RX is available with a 2.0-litre turbocharged engine in the form of the 200t, but the 450h petrol-hybrid is far more interesting. The 3.5-litre V6 engine and electric motor combine to deliver 262hp, whilst delivering CO2 emissions of just 120g/km. 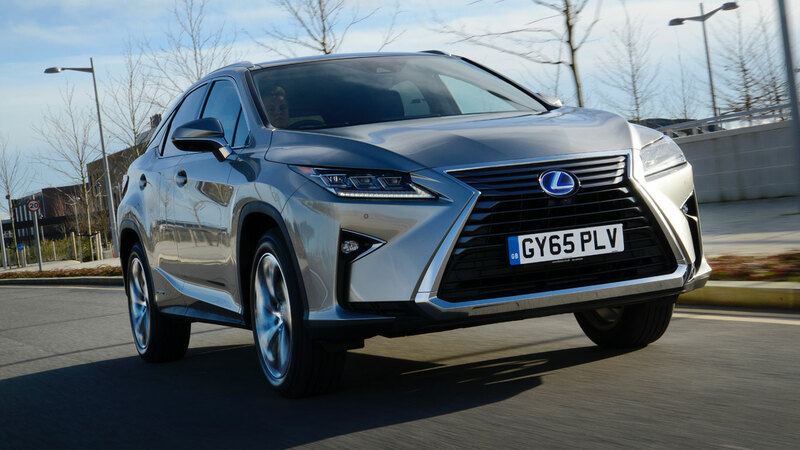 Other SUVs are available, but we doubt any will be as dependable as a Lexus RX. 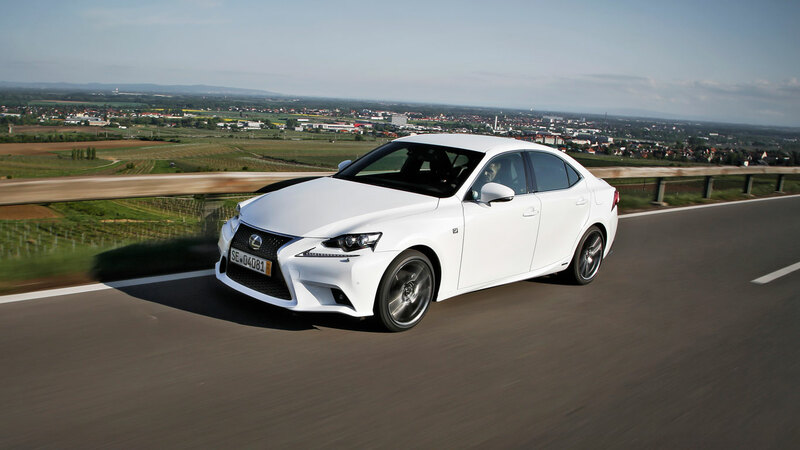 The self-proclaimed “world’s first full hybrid luxury compact” is the most affordable entry point into the Lexus brand and a rival to the likes of the Mercedes-Benz A-Class, BMW 1 Series and Audi A3. It’s not as exciting as Lexus would have you believe, but it is well equipped and should be reliable. Prices start from £22,495. So here it is: the most popular hybrid on Auto Trader. We’re offering no prizes if you guessed that the Toyota Prius would be sitting at the top of the hybrid tree as it has become the near brand generic for eco cars. 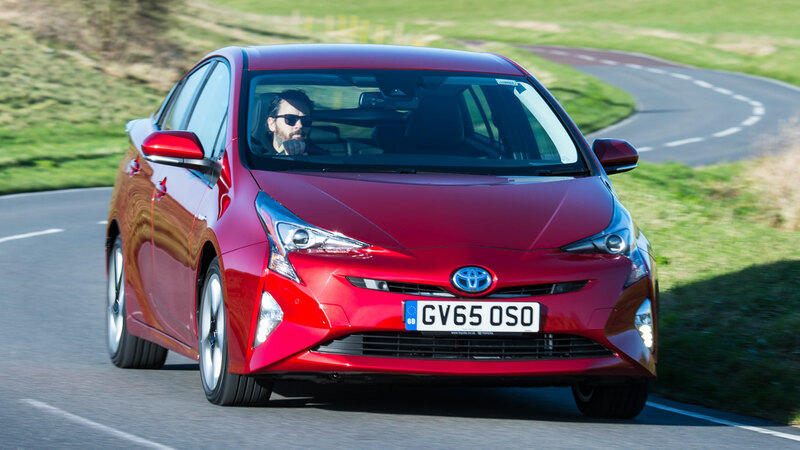 You can pick up a really early Prius for around a grand, while new prices start from £24,100. 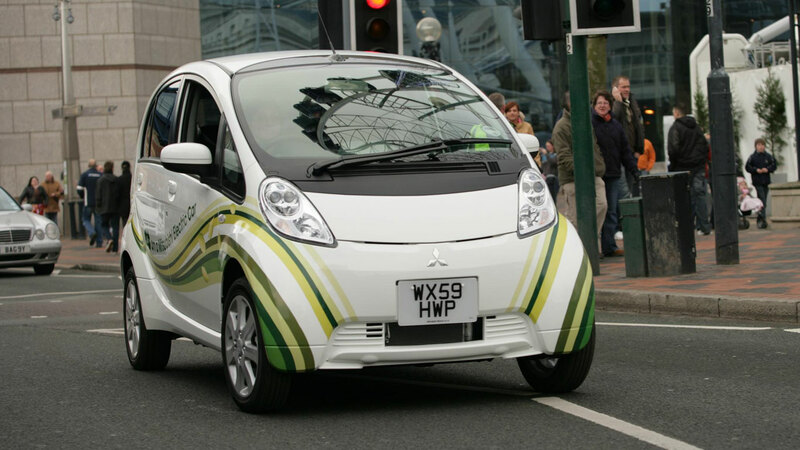 The Mitsubishi i-MiEV was one of the first all-electric cars to be available in the UK, but sales suffered from a high price tag, buyer apathy and a relatively small real-world range of 80-100 miles. New, you’d have paid around £30,000 for this pioneering EV, although the price was later reduced. 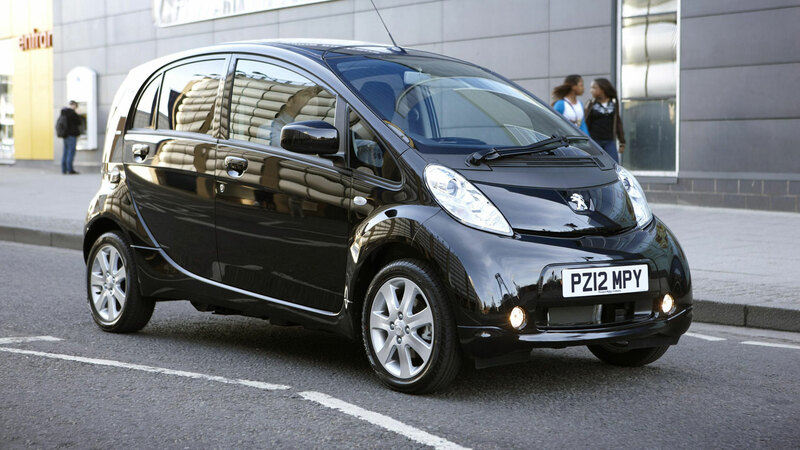 Only one used i-MiEV is for sale and it could be yours for £5,500. 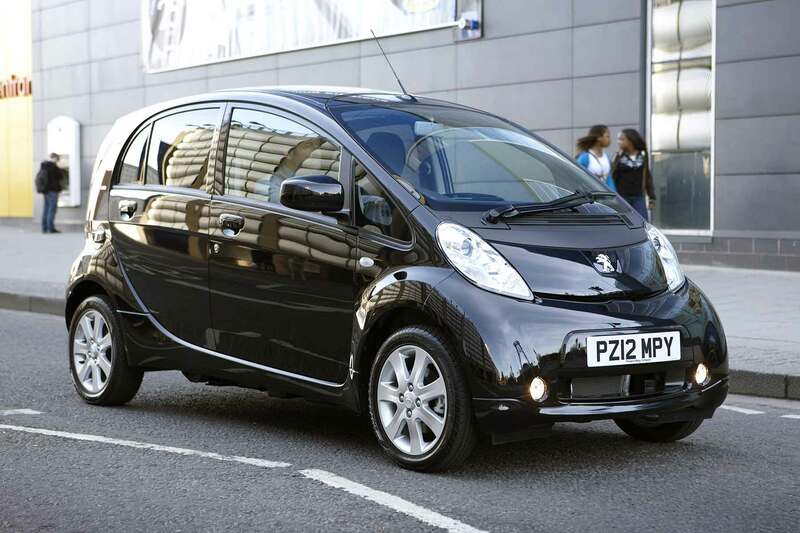 The Peugeot iOn is essentially a rebadged version of the i-MiEV but, crucially, it’s still available to buy new. The price is a not unreasonable £15,995 and Peugeot claims you could drive up to 93 miles on a full charge. 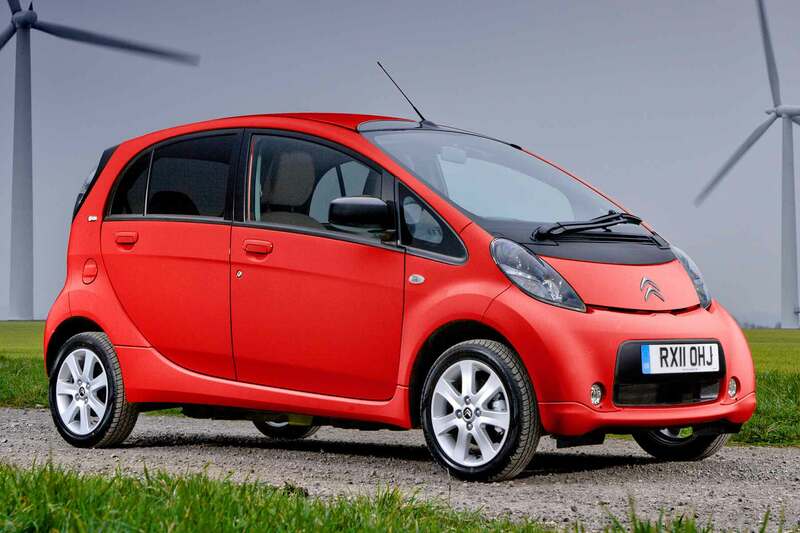 The game has moved on, which is why the i-MiEV, iOn and Citroen C-Zero were never big sellers. Take a wander through the streets of London and you’ll spot countless Volkswagen e-Golfs charging by the roadside. 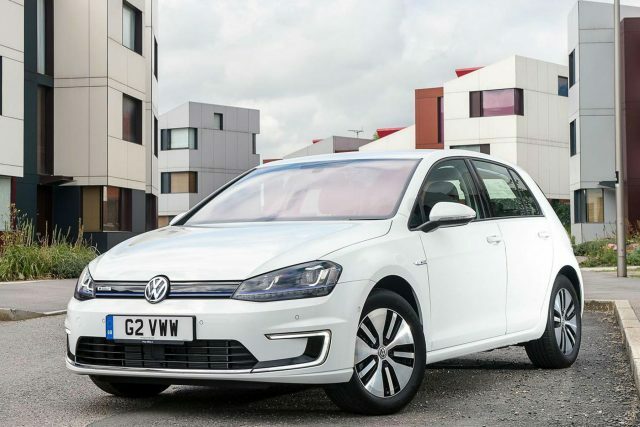 Right now, you can buy the all-electric Golf for £275 per month after a deposit of £7,034.77. 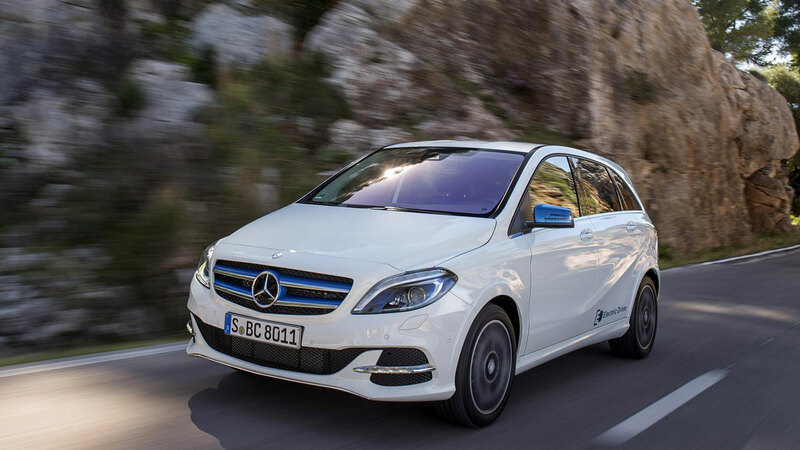 Alternatively, the Mercedes-Benz B-Class Electric Drive is available for £299 per month after a £2,999 deposit and £7,194.57 dealer contribution. The Electric Drive will sprint to 62mph in 7.9 seconds and offers a range of up to 124 miles. The Renault Fluence was a short-lived EV available in the UK from 2012 to 2013. New, you’d have paid £17,850 after a £5,000 government grant, but that price didn’t include the cost of leasing the battery from Renault. 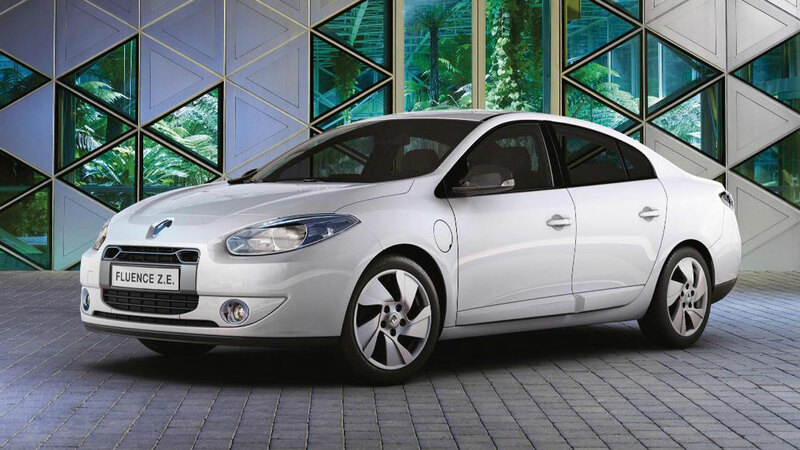 Something to factor in if you’re thinking of spending between £3,000 and £4,000 on a used Fluence. 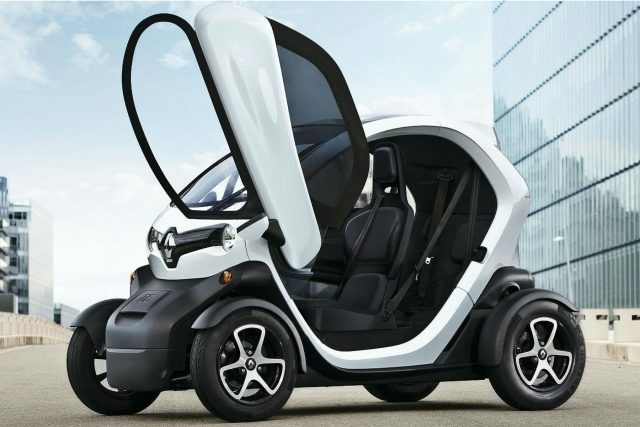 The Renault Twizy: there’s quite literally nothing else like it on the road. It’s a bit of a hard sell in the UK, not least because you have to pay extra for the doors! 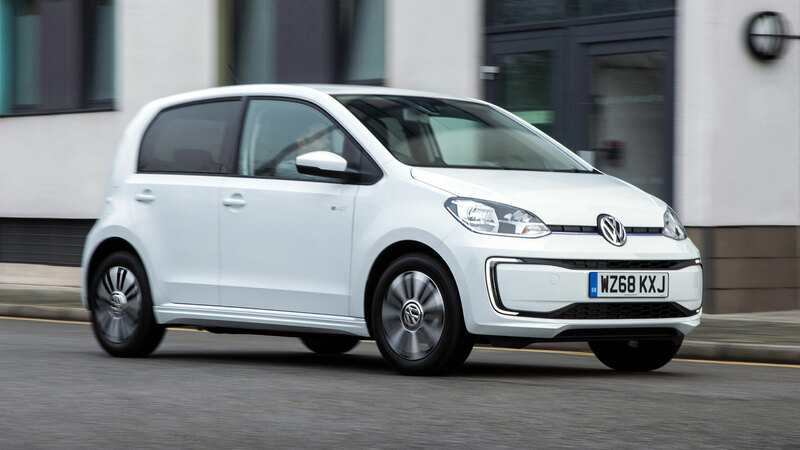 Prices start from £6,690, but you’ll need to factor in the cost of battery hire, of which prices range from £45 to £67 a month, depending on mileage and length of contract. And so to the ‘big four’ of the electric car world, starting with this: the Renault Zoe. The popular EV has recently been updated and now offers an NEDC range of 250 miles, with real-life estimates of 186 miles in the summer and 124 miles in the winter. Prices start from £13,995 after the government grant, but you’ll need to find at least £59 per month for the ZE 40 battery hire. 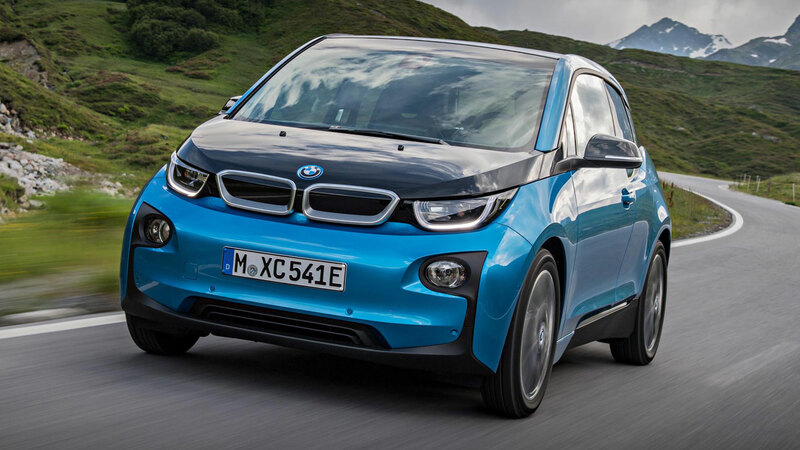 In standard form the BMW i3 offers a range of up to 125 miles, or 206 miles if you opt for the Range Extender model. It’s currently available from £269 a month after a £3,999 initial rental. Alternatively, used prices start from around £15,000. The Nissan Leaf is available in two configurations: a Leaf 24kWh offering 124 miles of range, and a Leaf 30kWh offering 155 miles. That said, as in all electric vehicles, you’ll need to drive with care in order to achieve these targets. 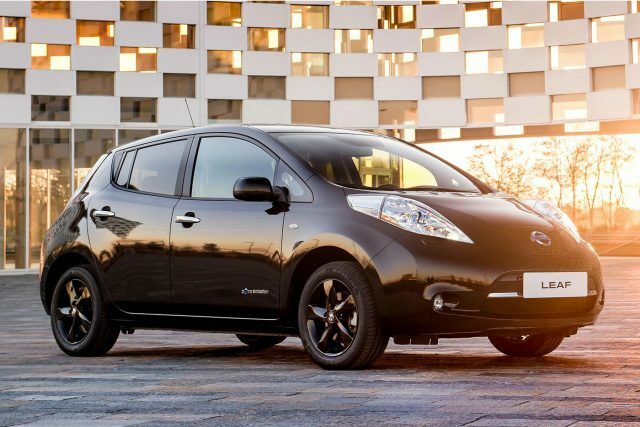 Right now, Nissan is offering a Leaf Tekna 24kWh for £199 per month with a £1,000 Nissan deposit contribution. The offer includes free insurance and servicing. Visit the Tesla website and you’ll find a very handy range calculator. Adjust the speed, outside temperature, size of wheels to discover the impact they have on the real-world range. 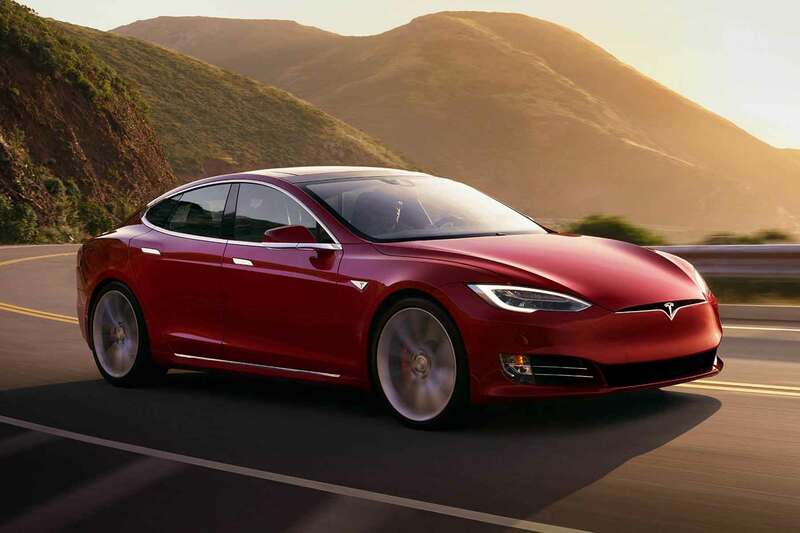 Thanks to a network of Superchargers and a realistic range, the Model S makes EV ownership a realistic proposition. It doesn’t come cheap, mind. Electric car sales are growing year-on-year, by double-digit amounts. 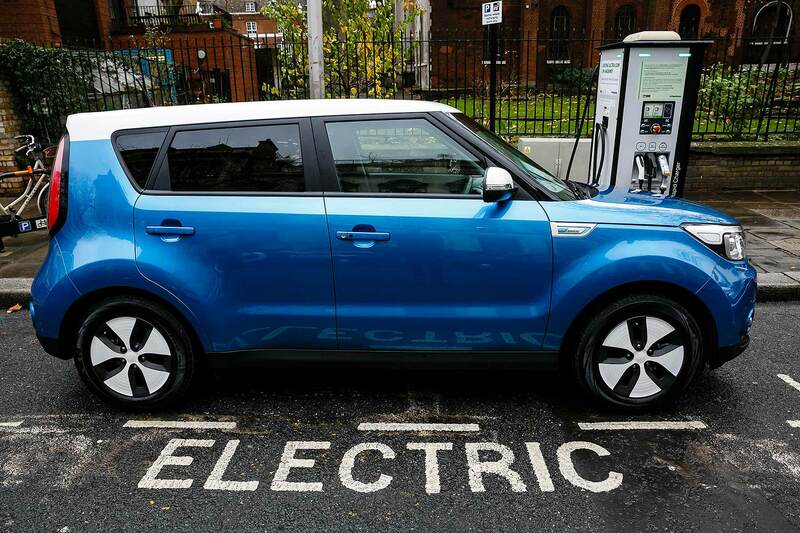 As concerns over city centre emissions grow, and the threat of penalties for combustion engines grows (diesel cars are particularly vulnerable here), many are now looking at electric vehicles (EVs) in a new light. Road tax 2017: how much more will Britain’s best-selling cars cost? So is this the year to go electric? Of course, traditionally, high-tech electric cars have not been cheap. Enter the government’s Plug-in-Car Grant. On electric cars with a range of at least 70 miles, this is worth £4,500 off the recommended retail price (the prices listed here are all pre-Plug-in Car Grant). List prices themselves are also becoming more affordable as sales gain critical mass. Incremental improvements in battery technology are also stretching the range enough to make them a genuine option for most people. In the early days of EVs, you’d struggle to get 100 miles from a full charge. 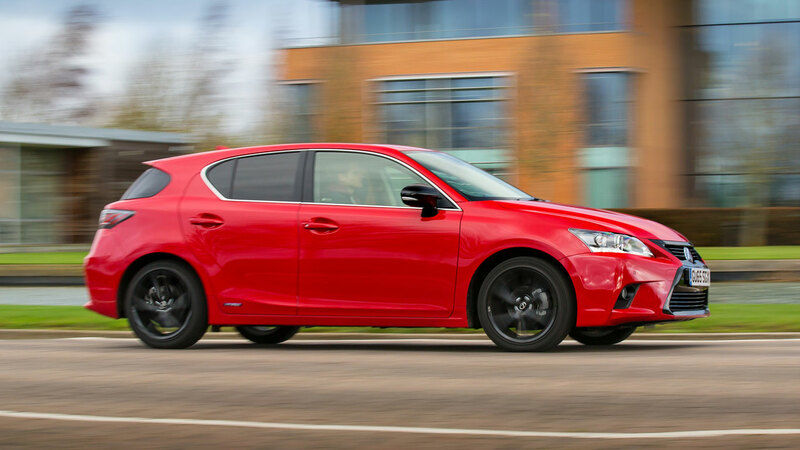 Now, you can get well over 150 miles from some models, and one real-world choice now claims a 250-mile range. The compromise-free EV is almost here. In such a fast-growing sector, which are the models you should be looking at? 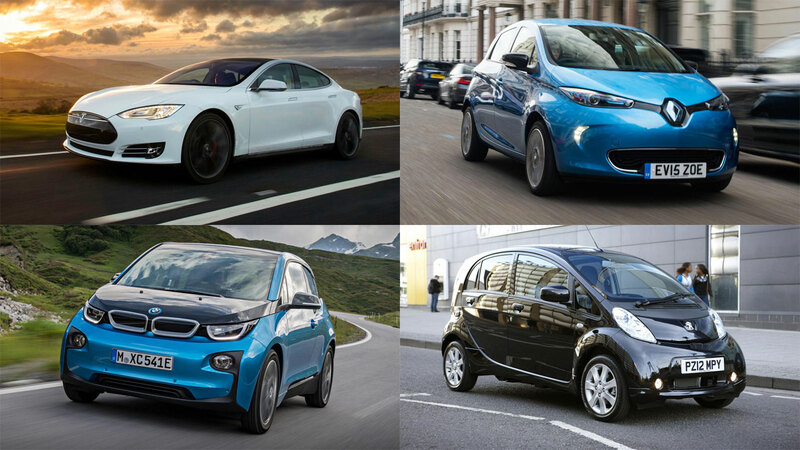 Here, we’ve picked out 10 of the most significant EVs, and ranked them. We’ve also included key specs for driving range, battery size and price. All have their zero-emissions strengths, but some are better than others – particularly when you factor in range and price. 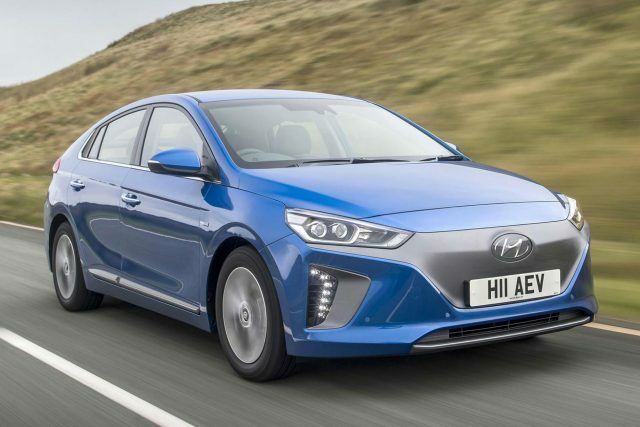 The fresh-faced Hyundai Ioniq is a car available in three flavours: hybrid, plug-in hybrid and full EV. Here, we’re looking at the pure electric Ioniq, which is priced from an affordable £28,995. The claimed range is up to 174 miles, which is more than the class-leading Nissan Leaf. Hyundai’s five-year, unlimited-mileage warranty is extended further for the electric bits here – they’re covered for eight years and 125,000 miles. The first mass-market electric car on sale in Britain is getting on a bit these days, but is a deservedly familiar sight. It was enhanced a little while ago with a larger-capacity 30kWh battery, taking the range up to 155 miles. That’s an improvement on the old 24kWh car, and will give existing owners a nice upgrade come trade-in time. It’s also built in Britain, for patriotic appeal. These days, it’s not the class-leader in terms of range or ability, but it’s still competitive. The ultra-clever BMW i3 looks like nothing else, is made from lightweight carbon fibre and is a Tardis-like car that still drives like a real BMW. Trouble is, it’s perhaps a bit too quirky for some; what works in trendy parts of London might not quite be so appealing in rural Dorset. This 2017 model does have a big new battery, though – taking the range up to nearly 200 miles. And the car’s clever engineering means you stand a decent chance of achieving that, too. 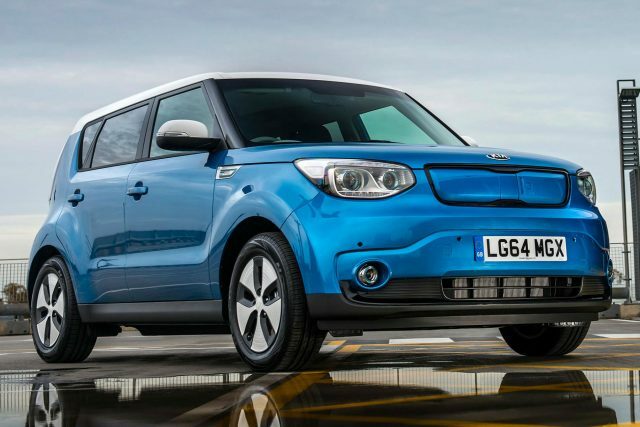 The quirky Kia Soul EV is an electric car that’s a bit different. Probably too different for many, but early adopters who like to stand out might love it. The range is decent and it’s extremely practical inside for five, while a fulsome level of standard kit means you shouldn’t feel short-changed by the sub-£30k list price. 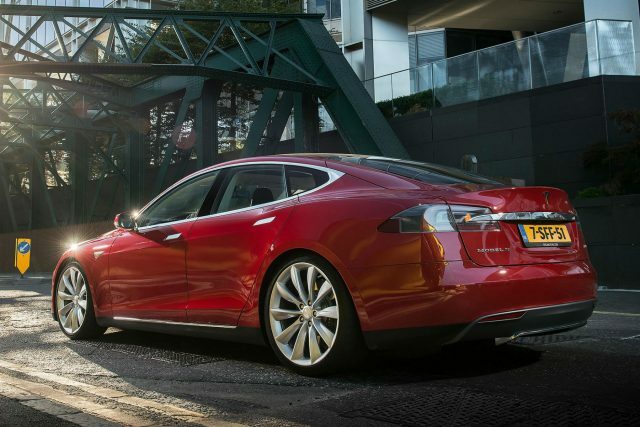 We have to include the mighty Tesla Model S here, despite even the basic car costing a whopping £65,000. That’s because it’s a genuine luxury car that’s shaken up the electric car market ever since its launch. The range is long, performance is stupendous and the interior, dominated by that famous touchscreen, is superb. Pity new car buyers no longer get free charges from the ever-growing Supercharger network. 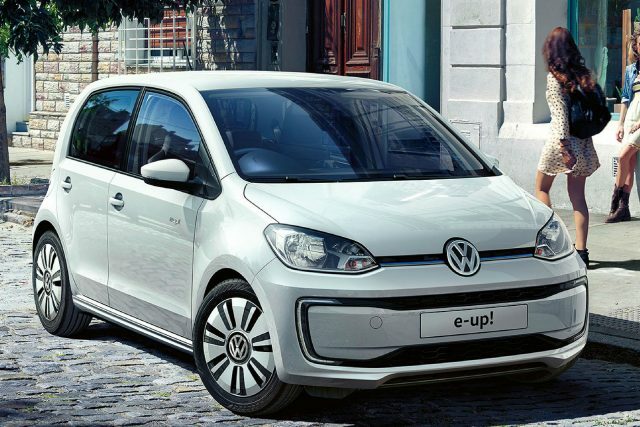 Volkswagen has recently facelifted the little e-Up. Frankly, while able, it’s a bit too expensive for what it is: a tiny city car with a sub-100-mile range. The Plug-in Car Grant helps, but it’s still more than £20k – you can get a petrol-engined Up for less than £10k. Despite this, it’s a likeable and able car that drives well and serves as a nice introduction to electric motoring. One of the cheapest cars on sale in Britain is also a fully-electric one. The Twizy is rather compromised, of course: it’s a quadricycle, so doesn’t meet the same standards of refinement (or, as Euro NCAP pointed out, crash safety) as a normal car. The range is also just 62 miles, and it’s so slow, it can’t even clock a 0-60mph time because it can’t reach 60mph. Still, for those who want a cheap electric car runabout they can park anywhere, it’s still worth a look. 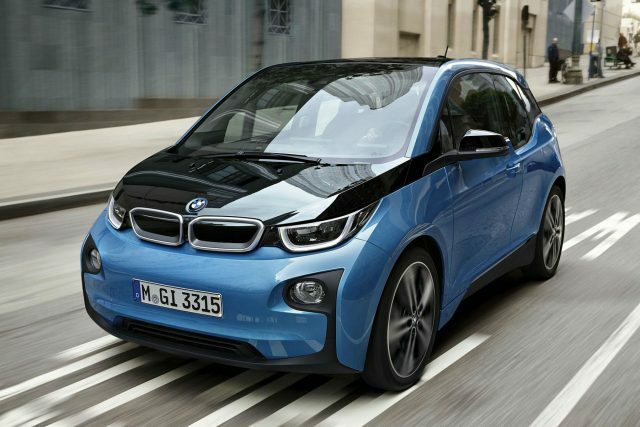 One of the freshest EVs on the UK new car market is the soon-to-be-launched Smart ed range. 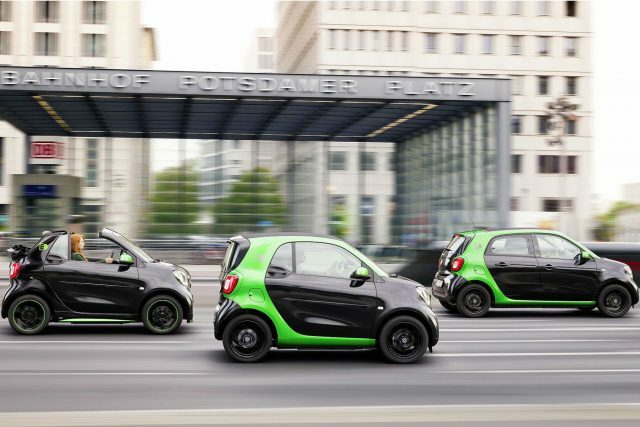 Because we don’t yet have prices, we can’t yet fully judge its competitiveness – but the range is looking OK for a city car and the manoeuvrability of the Fortwo two-seater is peerless. There’s now even a Forfour ed for those who need a city-friendly five-door four-seater. Electric and plug-in car sales grew by almost a third in the first half of 2016, with registrations of over 19,200 British EVs setting yet another British electric car high. It seems things are picking up as the months tick on, too: in the last quarter, sales were up 38%. 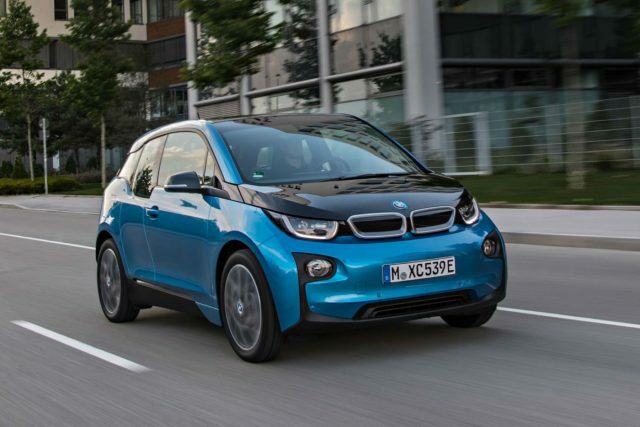 The latest figures mean electric and plug-in car sales have grown for 22 months in a row. 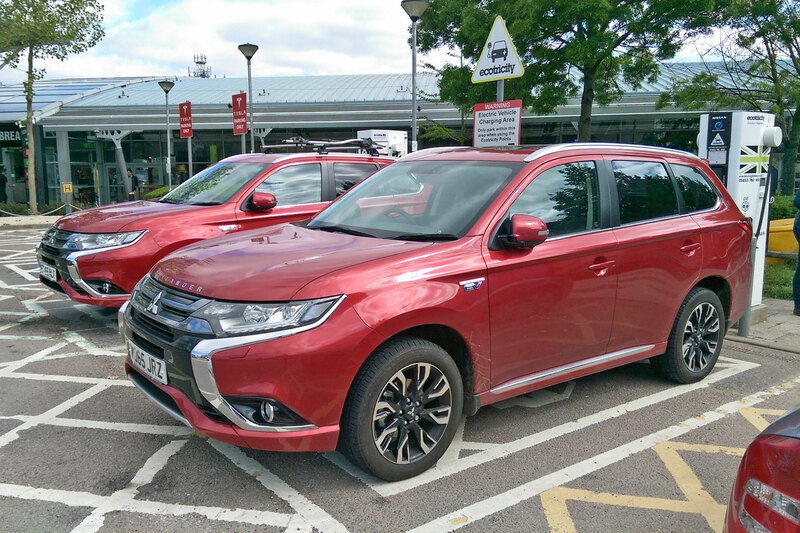 Best-sellers include the Mitsubishi Outlander PHEV Motoring Research is running as a long-termer, plus the Nissan LEAF (still Britain’s best-selling full EV) and newer entrants such as the Mercedes-Benz C-Class PHEV. 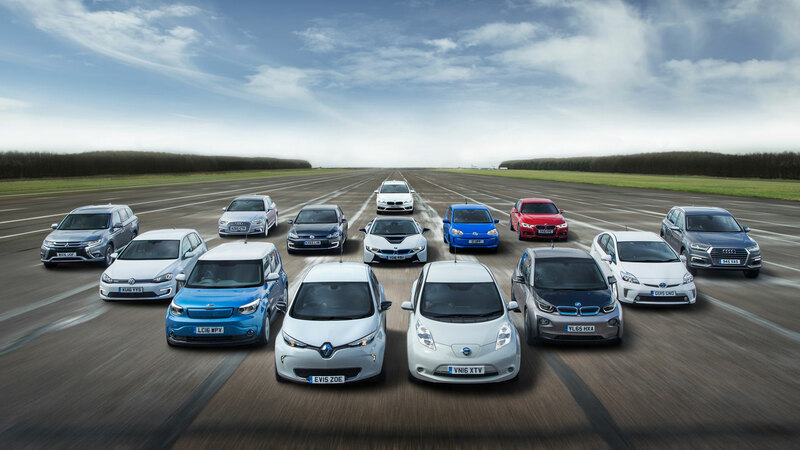 The government Plug-in Car Grant is helping drive EV growth, say analysts. Almost 70,000 electric-capable cars have now been sold through the Plug-in Car Grant since it was introduced in 2011. The latest iteration of the scheme offers buyers of sub-50g/km models with an EV range of at least 70 miles an allowance of £4,500; those with lesser ranges, or emissions between 50-75g/km, get £2,500 off the car’s list price. The Go Ultra Low organisation said government support “has been crucial to driving the success of electric vehicles in the UK”. But it’s not just the Plug-in Car Grant; on top of it are “tax benefits that could be worth thousands over the life of the car such as the lowest rates of Vehicle Excise Duty and company car tax, as well as support for home and public charging infrastructure”. 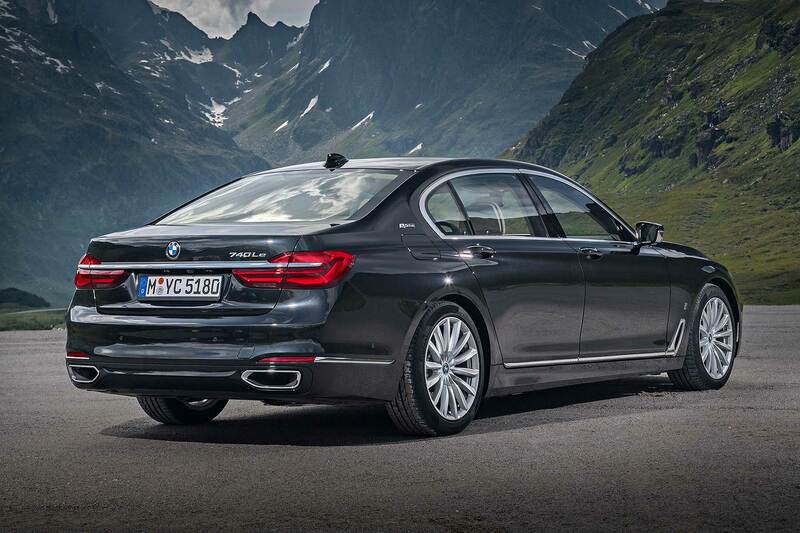 The new BMW 740e plug-in hybrid has become the most fuel-efficient 7 Series ever, with combined economy of 134.5mpg despite offering 0-62mph in 5.4 seconds potency. 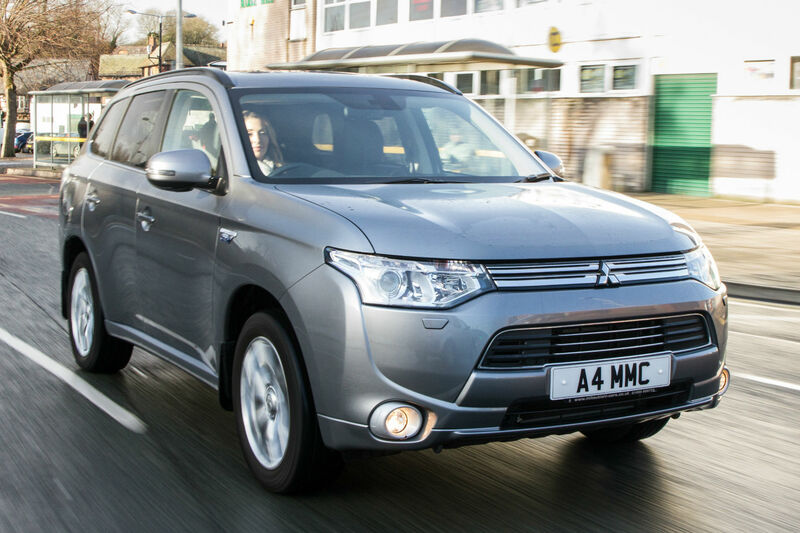 The PHEV also boasts CO2 emissions of just 49g/km – giving it an ultra-low 7% Benefit In Kind tax rating for company car drivers. Combined with a list price from £68,330, this may make it extremely attractive to fleet car operators. The BMW 740e drivetrain combines a 258 hp 2.0-litre four-cylinder turbo petrol engine with a 112 hp electric motor for a total system power of 326 hp. There’s ample torque of 386 lb-ft as well. A high-capacity 9.2kWh lithium ion battery is necessary to power the system (and provide up to 29 miles of full EV driving); it’s stored under the rear seat but doesn’t take up too much room – the boot is still 420 litres. BMW also offers a long-wheelbase all-wheel drive version, the 740Le xDrive: this costs £74,880, and is 0.1 seconds faster to 62mph (thank you, all-wheel drive traction), although economy drops to 117.7mpg and CO2 is up to 54g/km (costing fleet drivers an extra 4% on their tax bill). The 740e compares well with the 730d that takes the bulk of UK sales: that costs from £63,530, averages 60.1mpg and emits 124g/km CO2 for a much, much steeper 24% BIK company car tax bill. 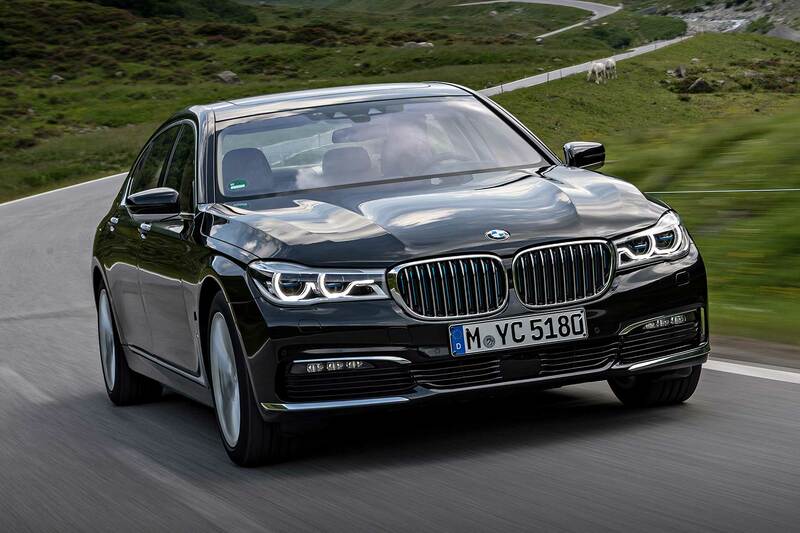 The firm is trading the new 7 Series plug-in hybrid models as part of the BMW iPerformance range, which already includes the X5 eDrive40e, 225xe and BMW 330e. Both the ultra-clever 740e and 740Le xDrive, which are marked out by their battery charge point in the left front wing, eDrive badges on the C pillars, BMW i logo on the front side panels and BMW i Blue bits for the kidney grille, are on sale now.